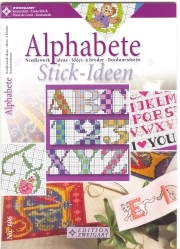 This booklet offers a variety of alphabet designs. 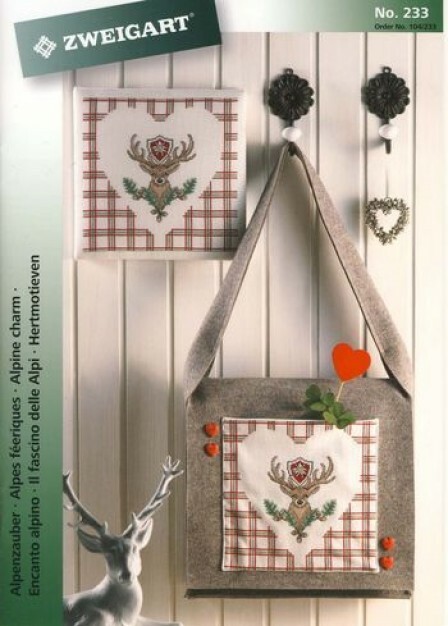 This booklet offers a variety of Deer designs. 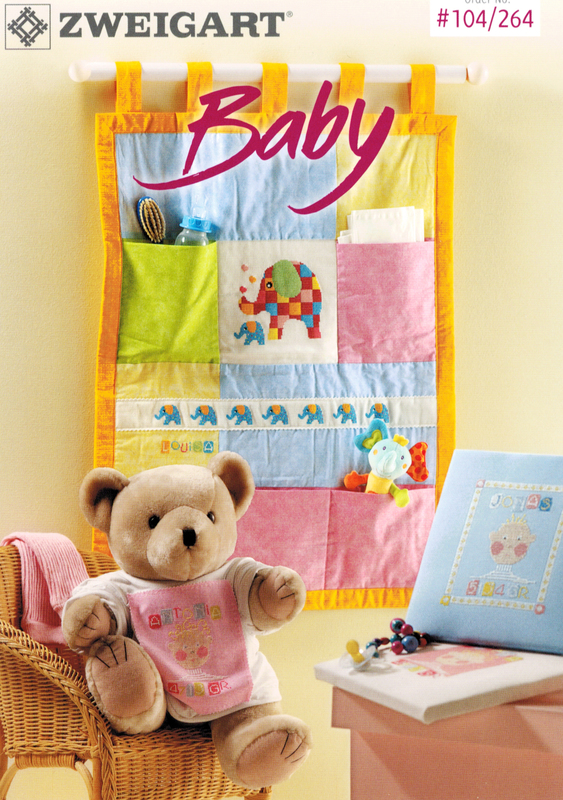 This booklet offers a variety of baby designs. 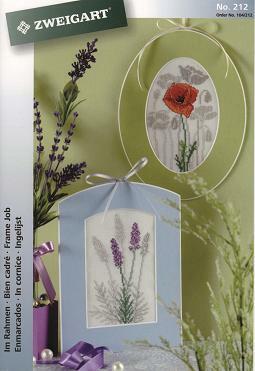 This booklet offers a variety of floral and nature designs. 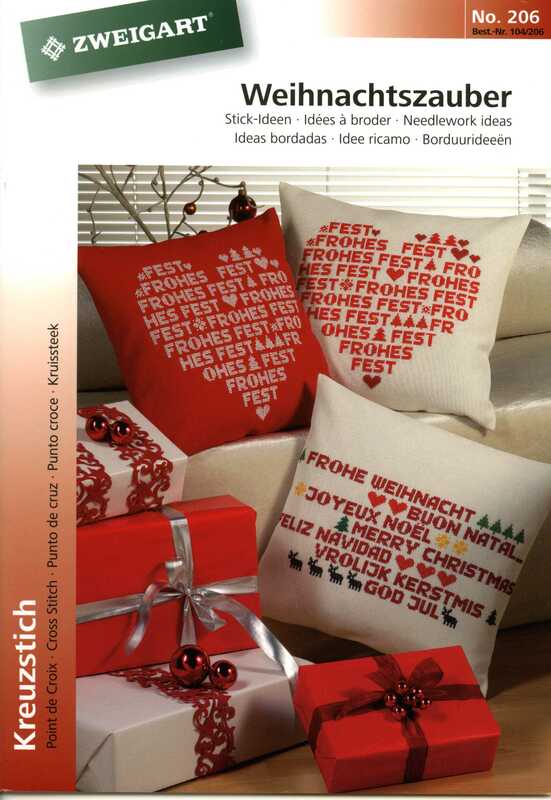 This booklet offers a variety of designs created for Brest fabric. 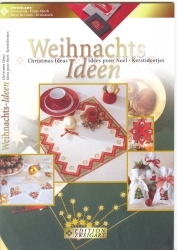 This booklet offers a variety of Christmas designs. 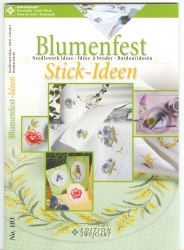 This booklet offers a variety of bird and floral designs. 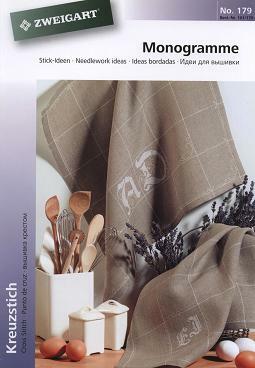 This booklet offers a variety of home decor designs created especially for Zweigart's Cashel Linen. 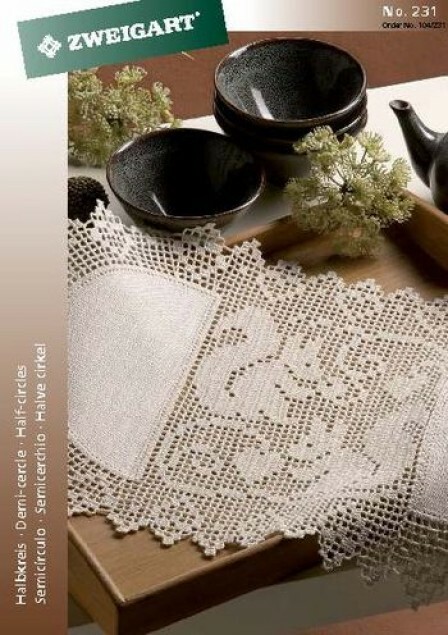 This booklet features a variety of creative designs for Zweigart's new Gironde fabric. 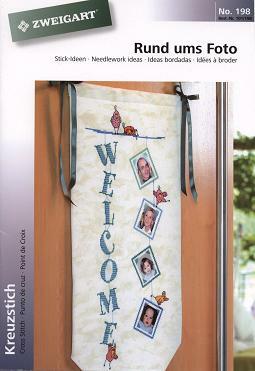 This booklet offers a variety of designs for the Half-Circle Crochetmate. 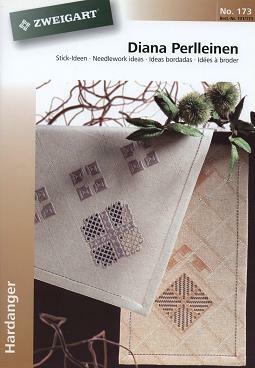 This booklet offers a variety of Hardanger designs. 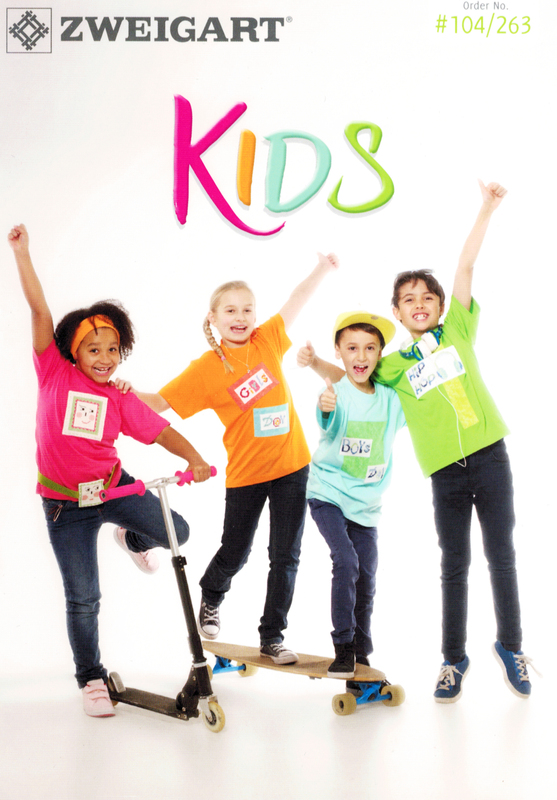 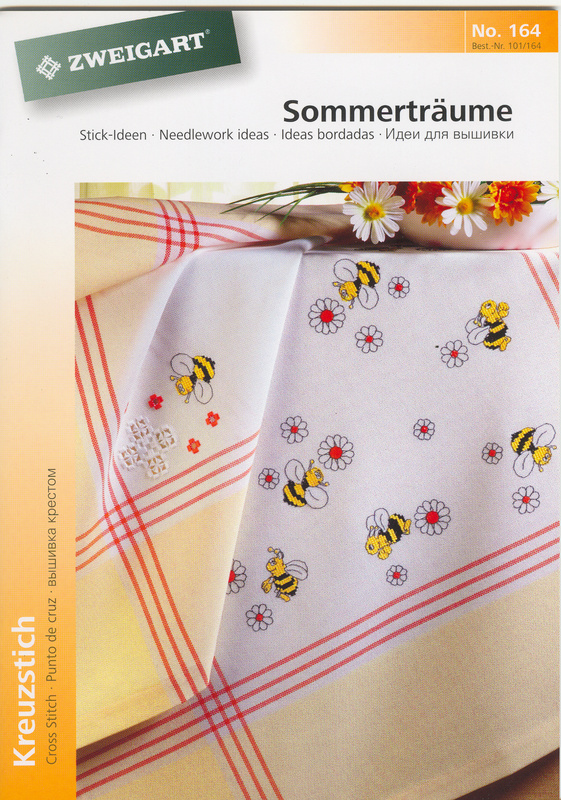 This booklet offers a variety of children's designs. 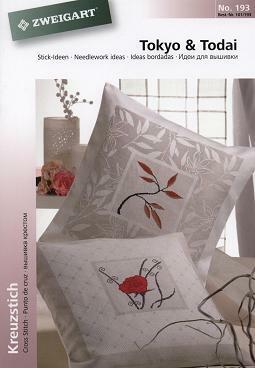 This booklet offers an array of designs created for Loiret Fabric. 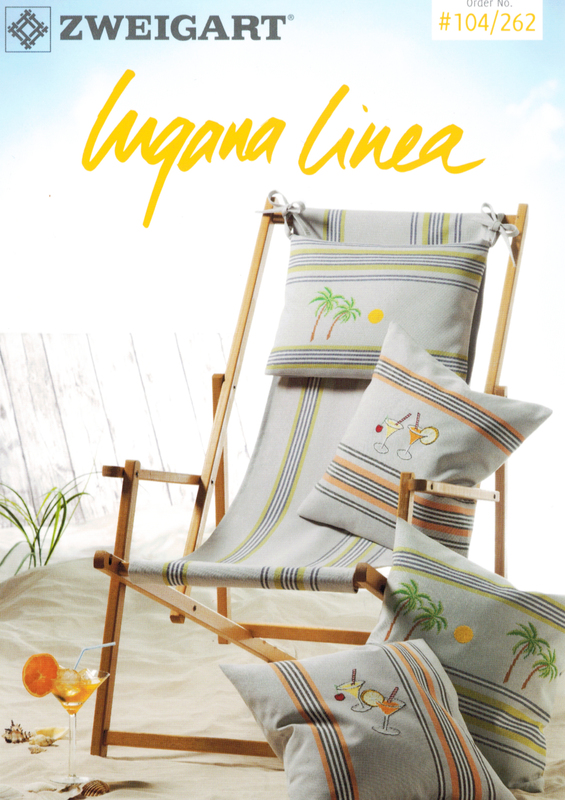 This booklet offers a variety of designs created for Lugana Linea fabric. 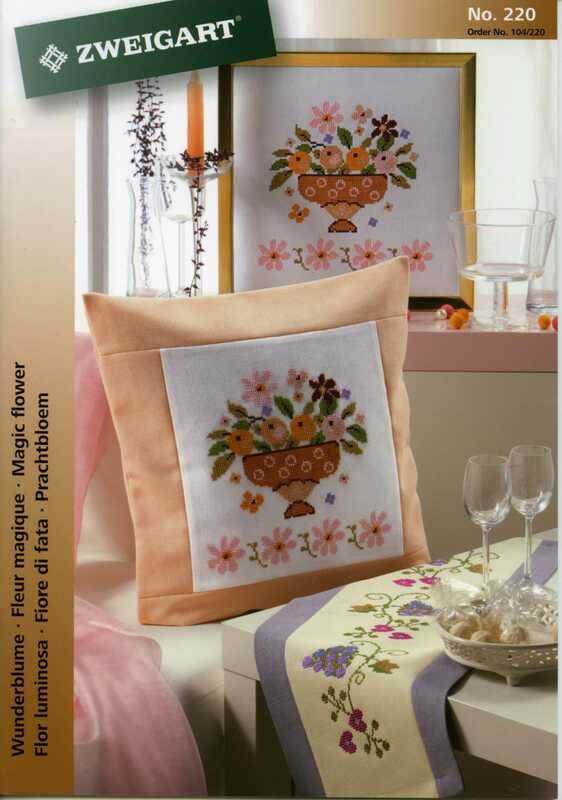 This booklet offers a variety of Mediterranean Floral designs. 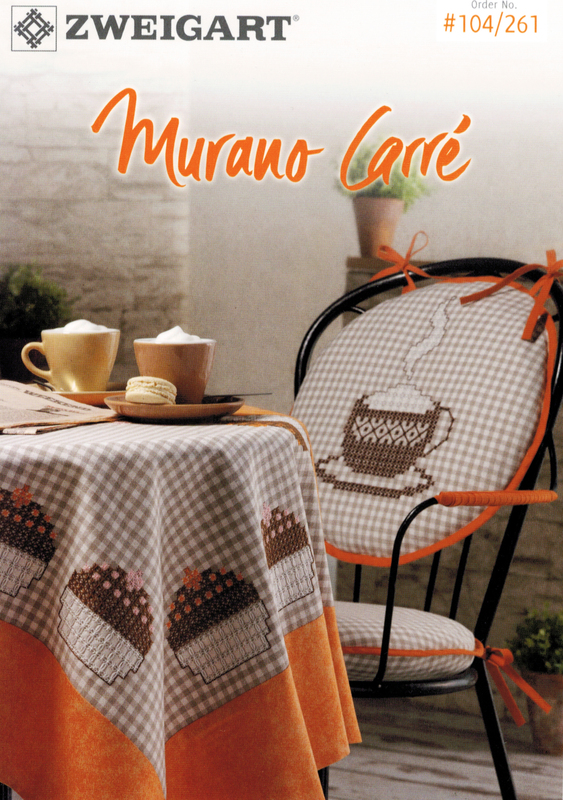 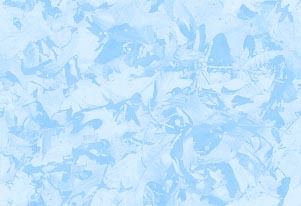 This booklet offers a variety of designs created for Murano Carre fabric. 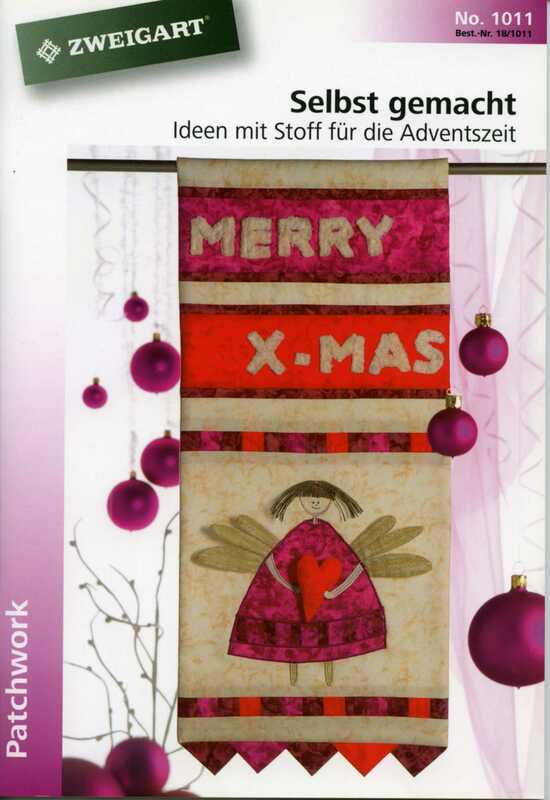 This booklet is packed with Patchwork Christmas Ideas. 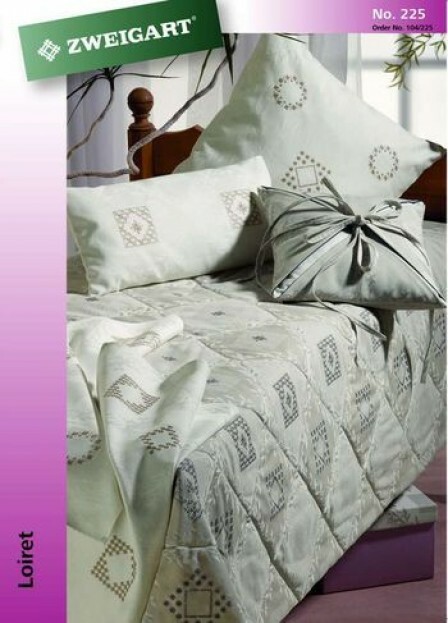 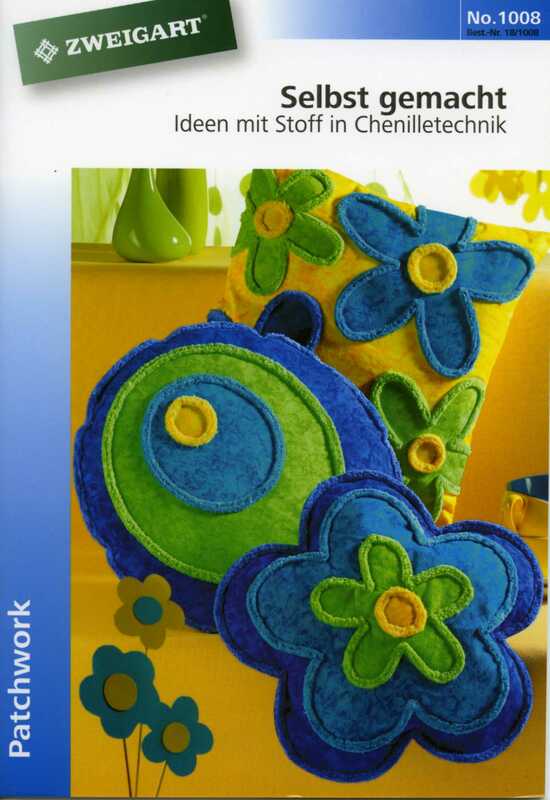 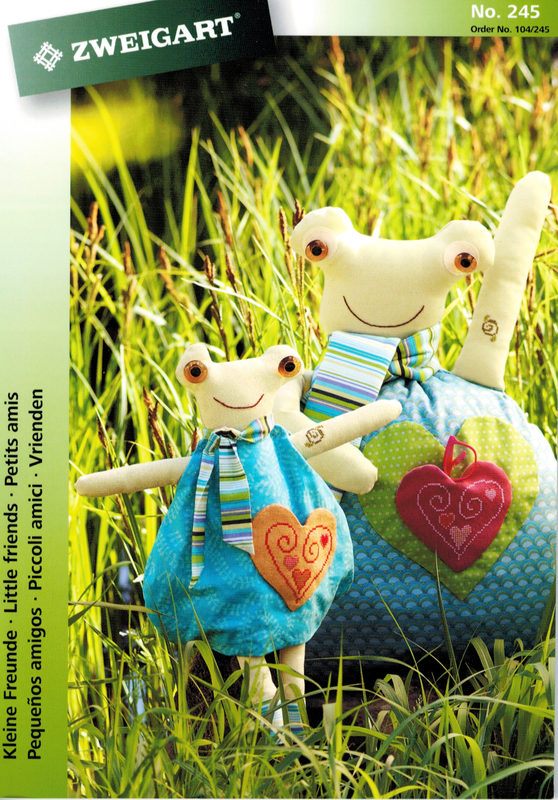 This booklet offers patchwork ideas for Chenille fabric. 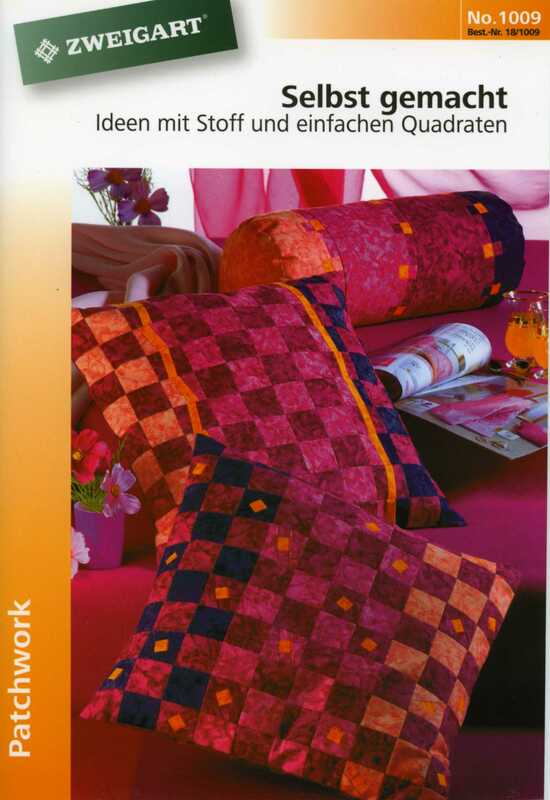 This booklet offers ideas for patchwork pillows. 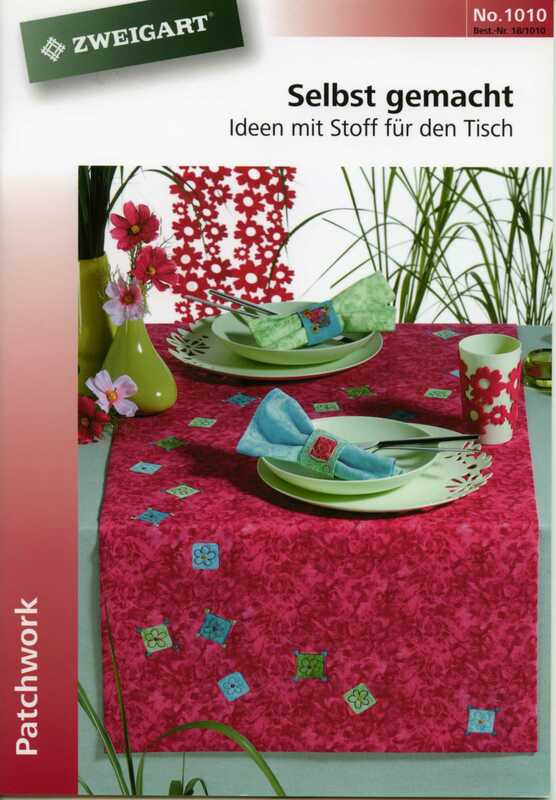 This booklet offers ideas for the table using fabric. 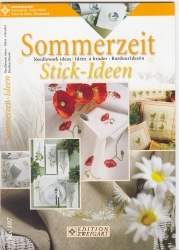 This booklet offers a variety of floral designs. 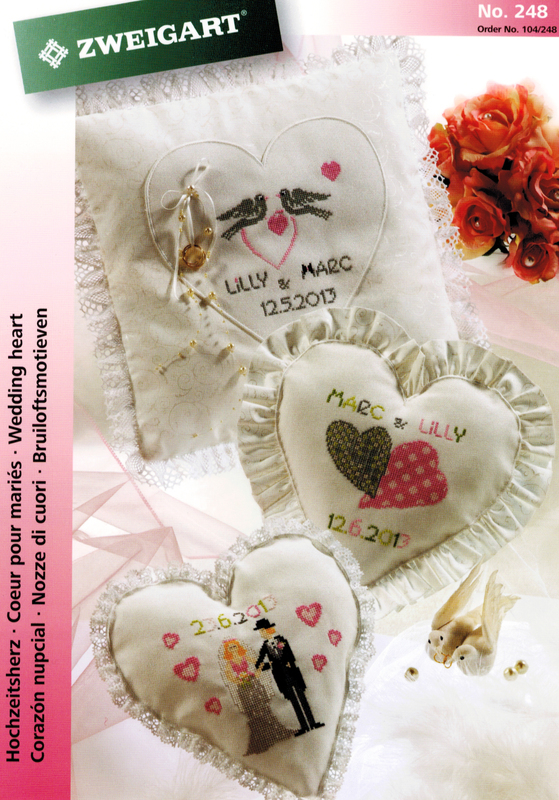 This booklet offers a variety of wedding designs. 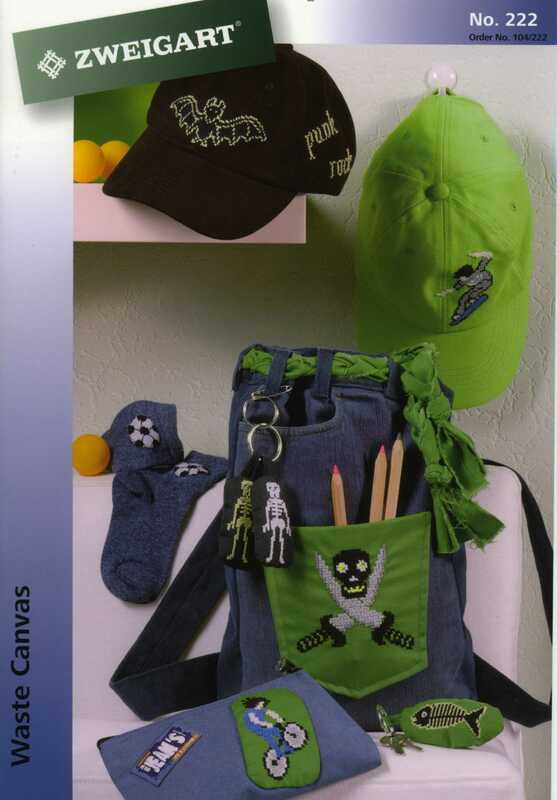 This booklet features a variety of quick and easy designs for those on the go. 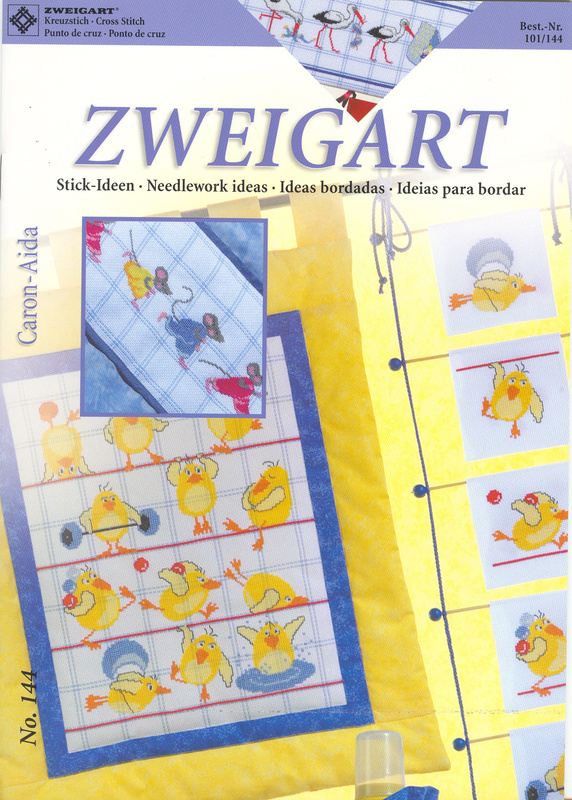 Also featured are Zweigart's new creative "Quick Frames" to embellish and finish each design. 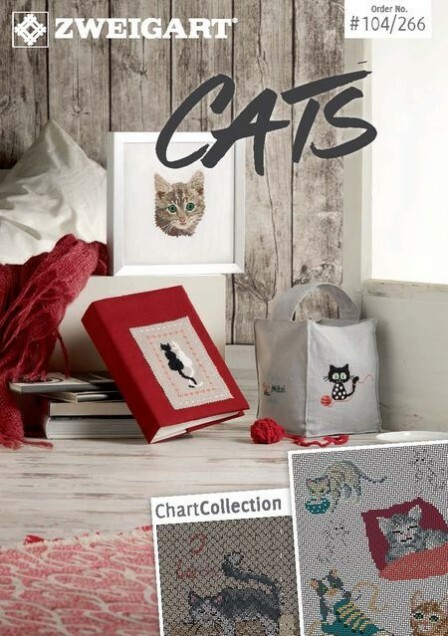 This booklet offers a variety of cat designs. 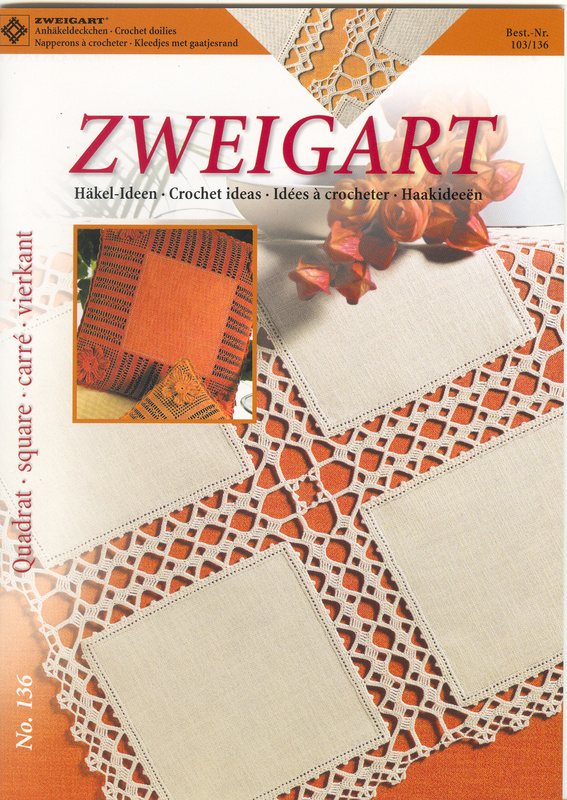 This booklet offers a large collection of colorful designs created especially for Zweigart's 8 count Aida Cloth. 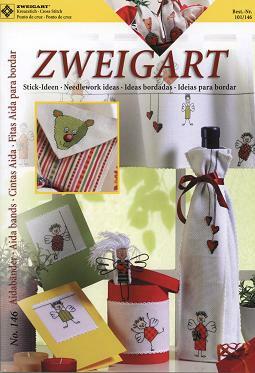 The fourth in Zweigart's XXL cross stitch booklet series offers an array of whimsical designs for Zweigart's Aida cloth collection. 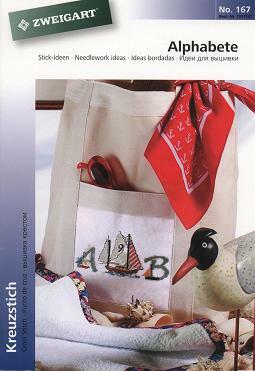 The title says it all - this booklet contains page after page of unique, colorful, and whimsical design ideas using the alphabet. 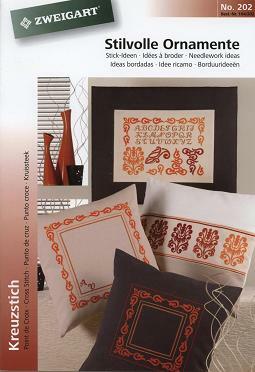 Welcome Autumn to your home with a beautiful and festive collection of designs consisting of fruits, pumpkins, scarecrows, and leaves. 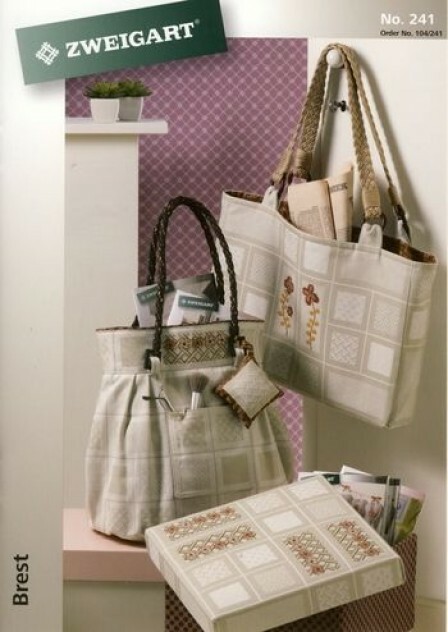 All designs are stitched on Zweigart's new Jazlyn Fabric. 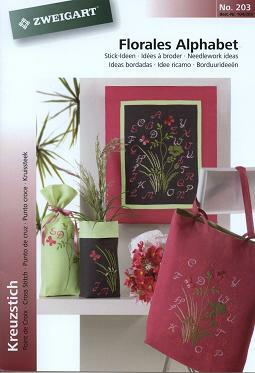 This booklet offers a collection of crochet ideas for Zweigart's "Blossom" crochetmate. 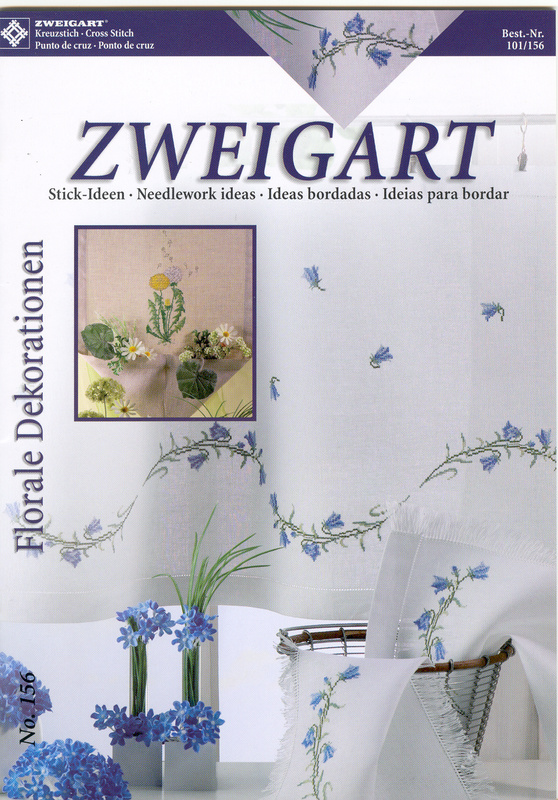 This booklet features a collection of spring-like floral designs for a wide variety of Zweigart products. 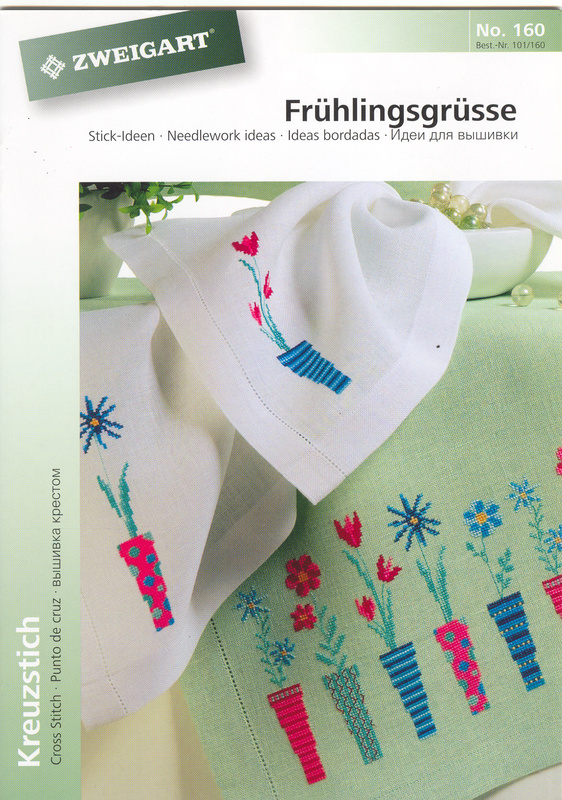 From tabletoppers to napkins, Lugana to Cashel Linen this booklet will have you stitching for hours. 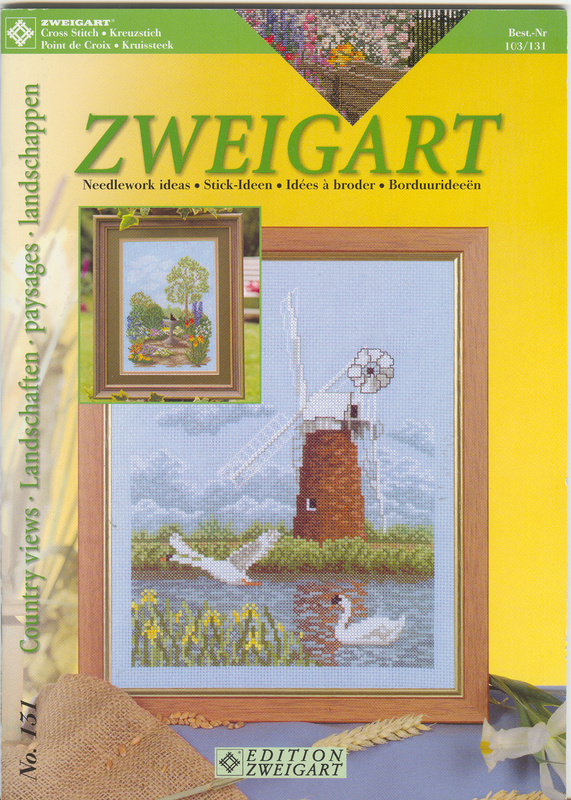 These colorful country view designs are all stitched on Zweigart's 14 count Aida cloth in a variety of colors. 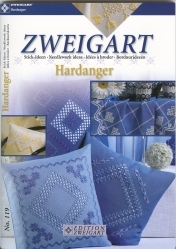 Filled with a unique yet creative collection of hardanger designs for Zweigart's New Fine Ariosa. 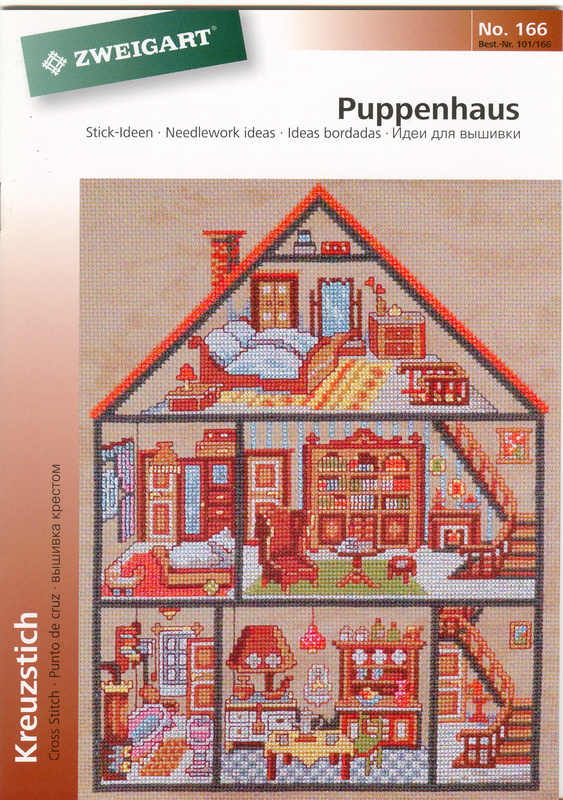 A beautiful collection of doll house theme designs are brought together for your stitching enjoyment. 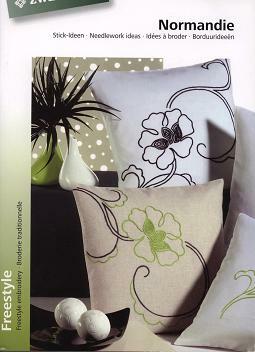 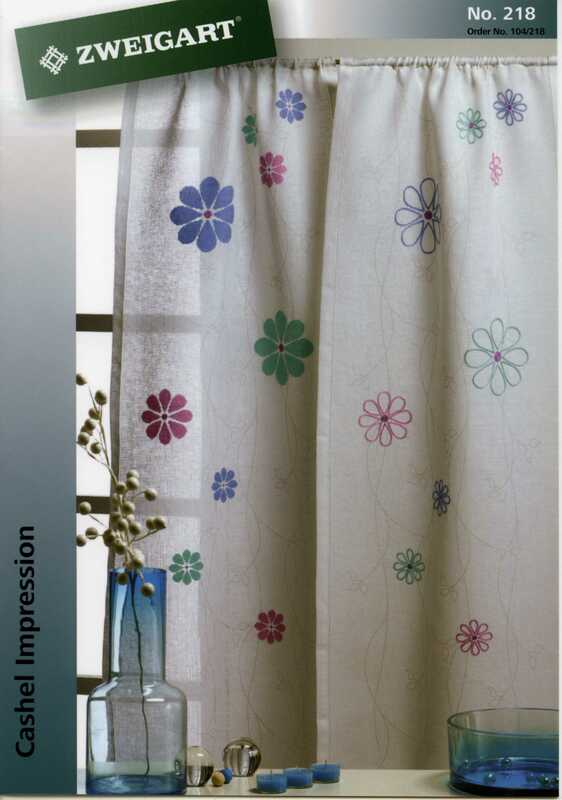 From roses to fruit, herbs to teddy bears this boolet offers an array of designs for Zweigart's New Fine Ariosa fabric. 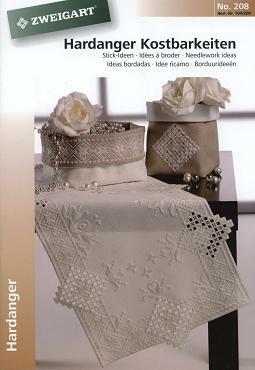 This booklet contains a beautiful selection of Hardanger designs for Zweigart's Lugana and Gardenie fabrics. 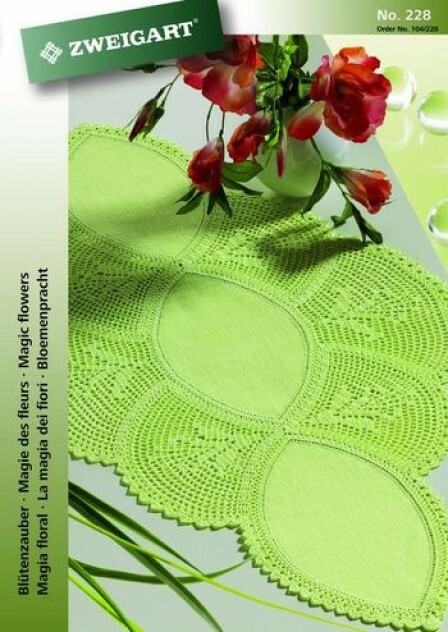 Create eye-catching floral table toppers, doilies, table runners or even cafe curtains with Zweigart's Petal Crochetmate. 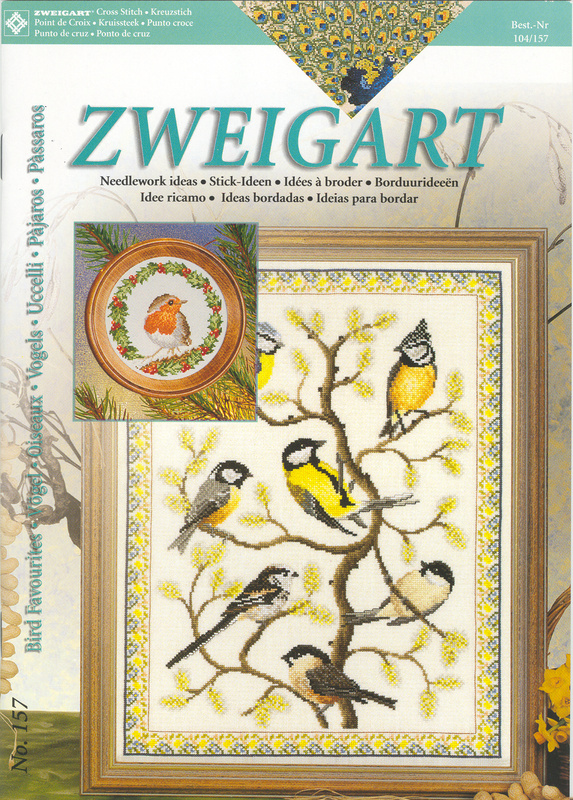 Features an array of butterfly, bird and floral designs suitable for Zweigart's Vintage linen and aida cloth. 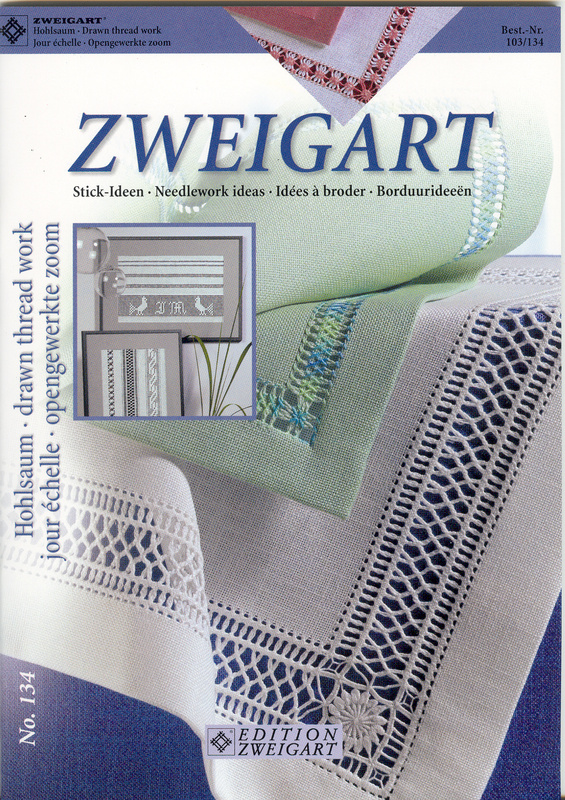 Features creative design ideas like decorative pillows, curtains and table runners for Zweigart's new Cashel Couture linen fabric. 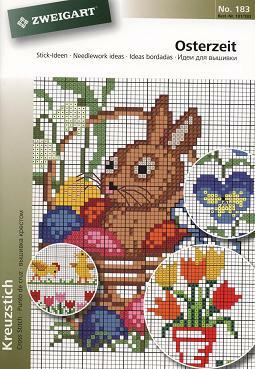 From Easter chicks to Easter eggs, from bunny rabbits to flowers, this booklet is packed with fun. 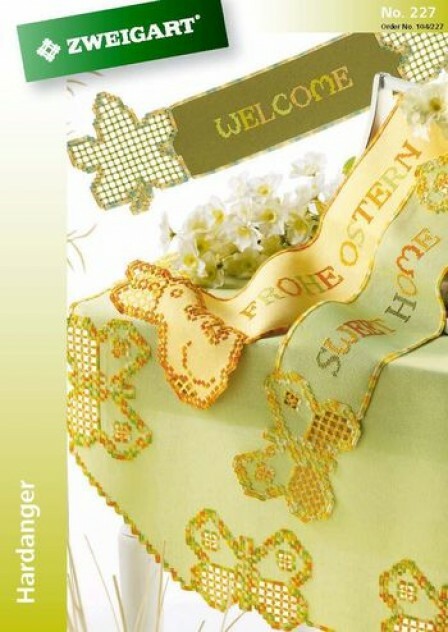 Filled with an array of elegant floral designs, this booklet features Zweigart's tabletoppers, Lugana fabric, Linda fabric, Patchmates, Stitchbands, and so much more. 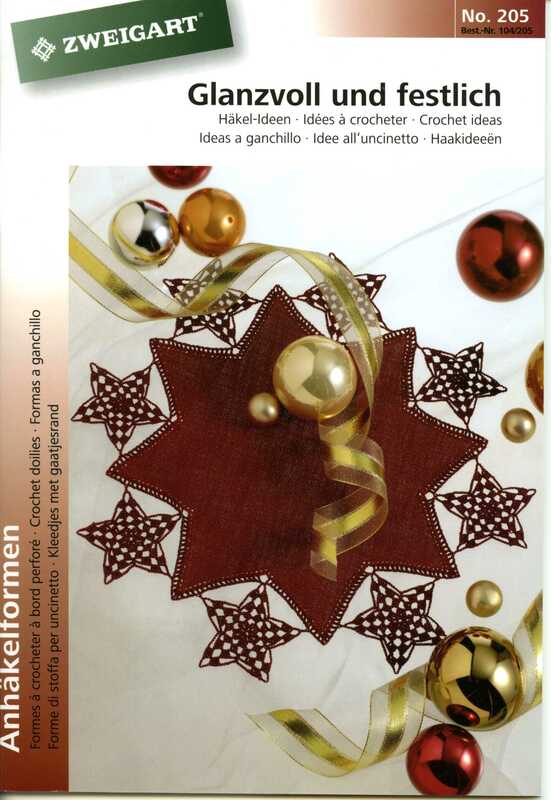 This booklet offers a collection of Christmas designs created just for Zweigart's "Star" Crochetmate. 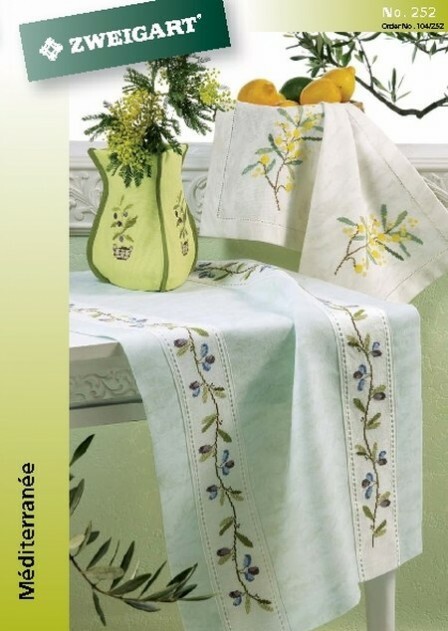 Featuring Zweigart's brand new Bellana table topper with coordinating designs such as bumble bees, playful frogs, flowers and butterflies. 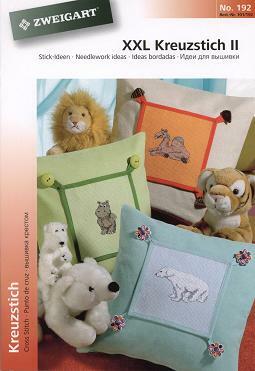 This booklet offers stitchers of every level a warm and elegant collection of designs on a wide variety of Zweigart products. 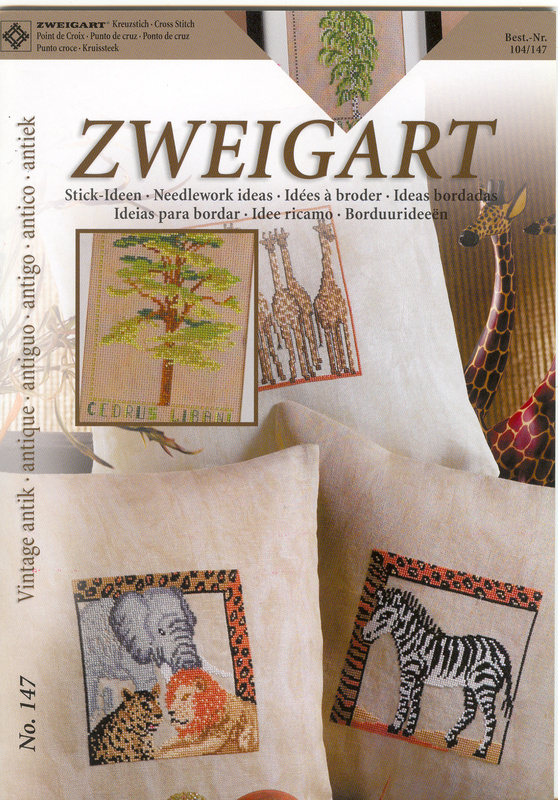 Filled with a variety of western theme designs for Zweigart's new denim aida cloth. 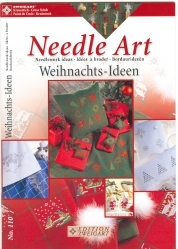 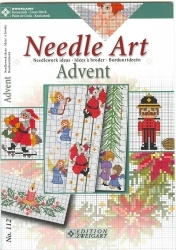 This booklet is the fourth in Zweigart's Christmas Booklet series offering a huge variety of designs to be stitched on any needlework product. 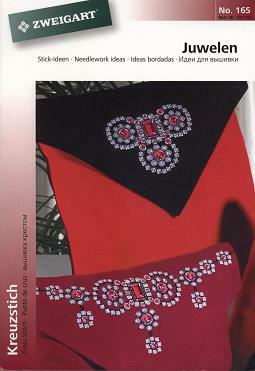 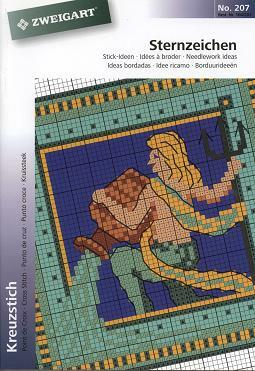 This booklet features a variety of designs for Zweigart's Aida stitchbands. 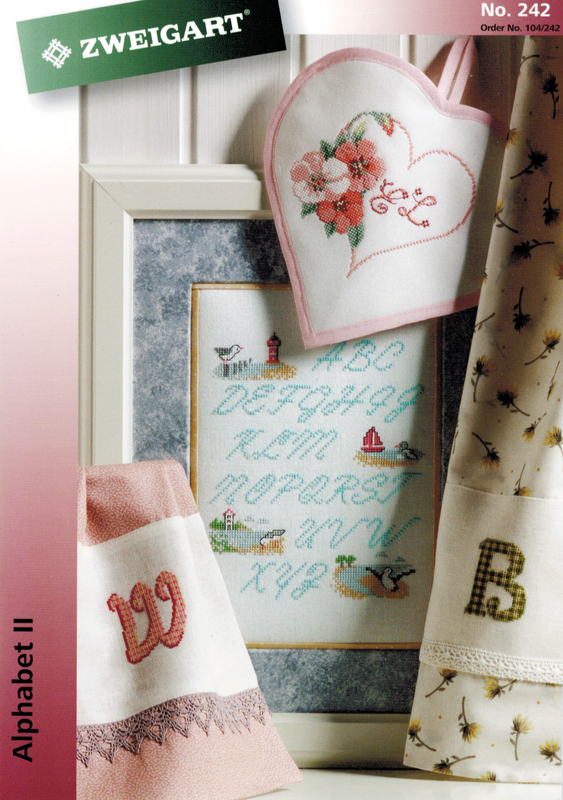 This booklet features a variety of alphabet designs suitable for any Zweigart fabric. 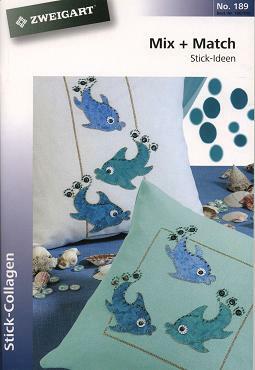 This booklet features a colorful collection of under the sea designs created especially for Zweigart's Belfast and Cashel Linens but suitable for any Zweigart fabric. 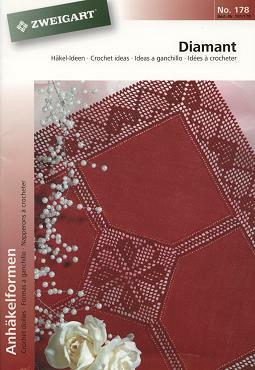 This booklet features an array of Swedisg Weaving designs for Zweigart's Stockholm fabric. 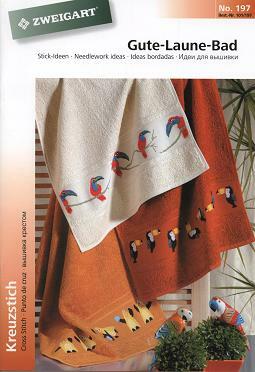 This booklet features a colorful collection of designs created especially for Zweigart's Terry Cloth Towels. 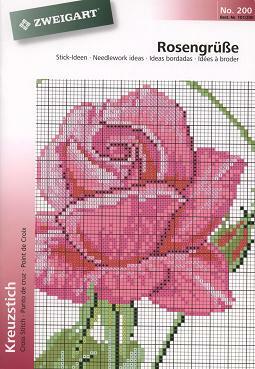 This booklet features designs for Zweigart's petal, square, and octagon crochetmates. 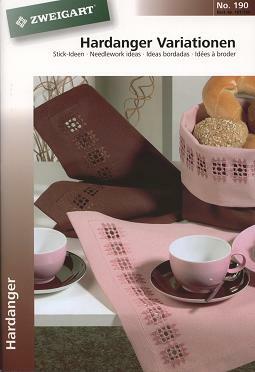 This booklet features crochet designs for Zweigart's Lugana fabric. 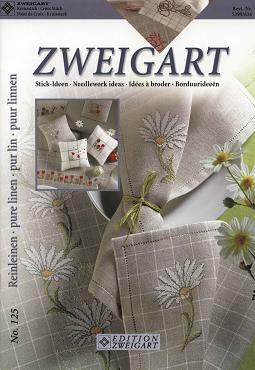 This booklet features a creative collection of designs for Zweigart's Bretagne and Aida fabrics. 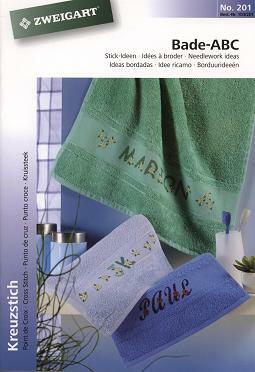 This booklet features an array of designs created especially for Zweigart's Terry Cloth Towels. 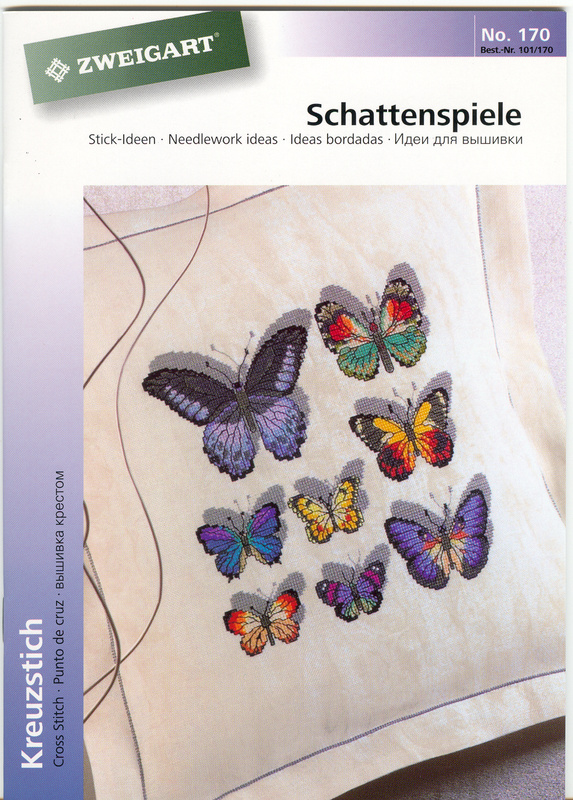 This booklet features a colorful collection of floral and butterfly designs suitable for any Zweigart fabric. 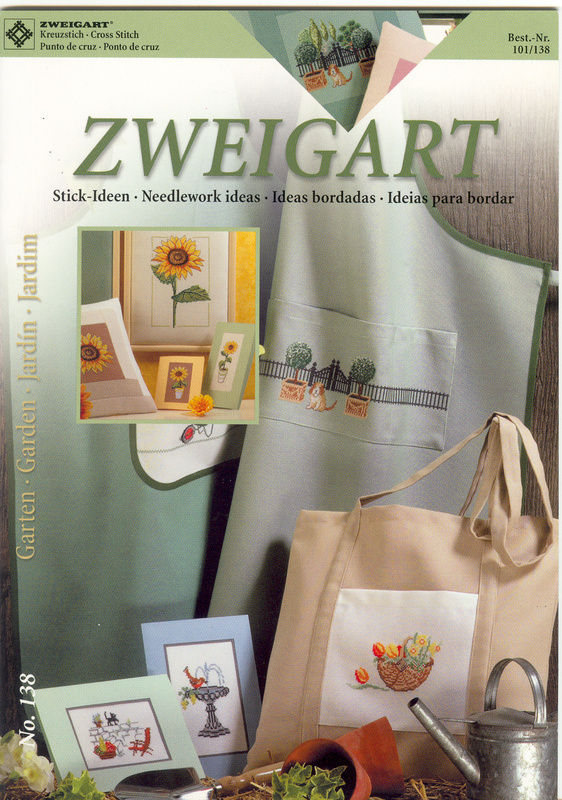 This booklet features a creative collection of designs for Zweigart's Caron Aida fabric. 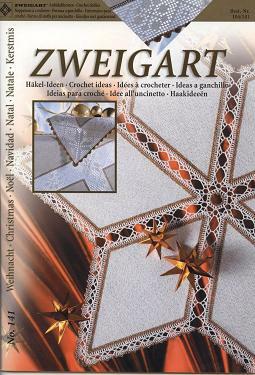 This booklet features designs for Zweigart's square, star, and diamond crochetmates. 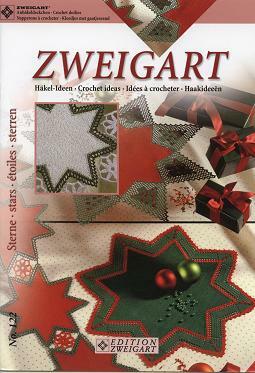 This booklet features designs for Zweigart's star, christmas stocking, and square crochetmates. 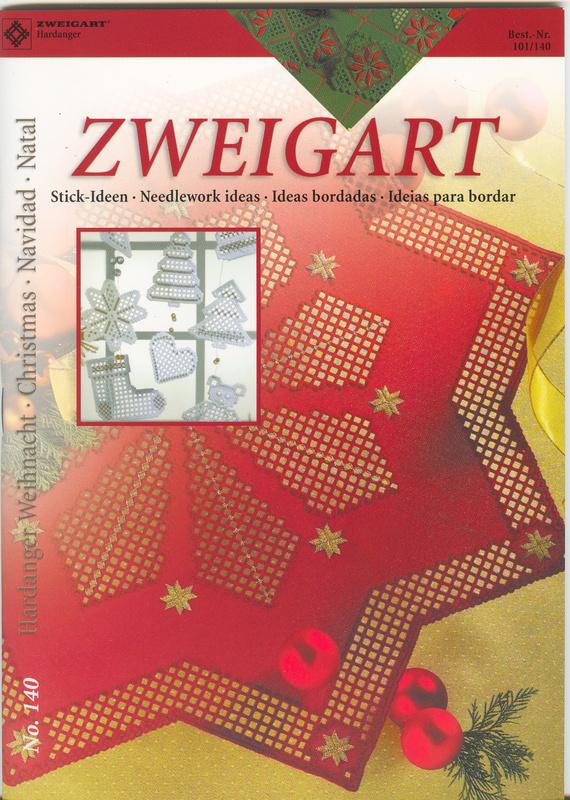 The first in Zweigart's Christmas booklet series offers an array of designs that are sure to bring the warmth of the holidays to your home. 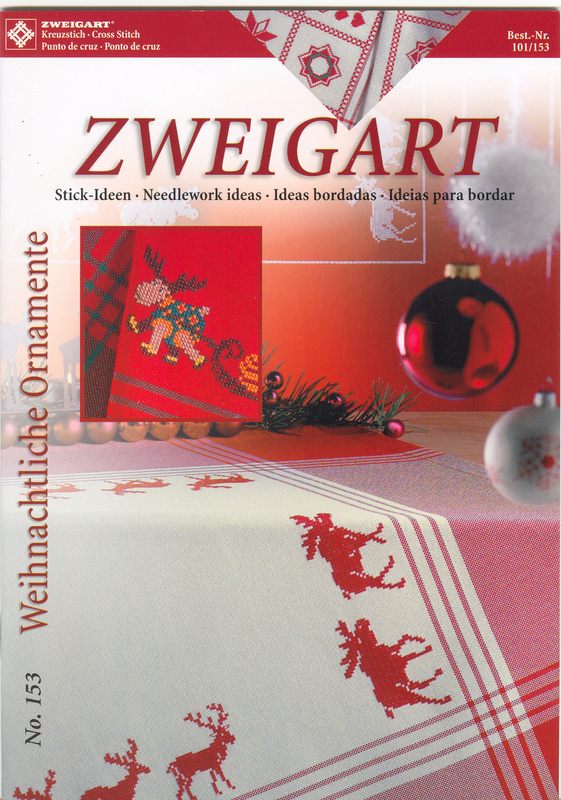 The second in Zweigart's Christmas booklet series features a collection of designs for Zweigart's stitchband, damask tabletoppers, Lugana fabric, Patchwork Fabric and so many more. 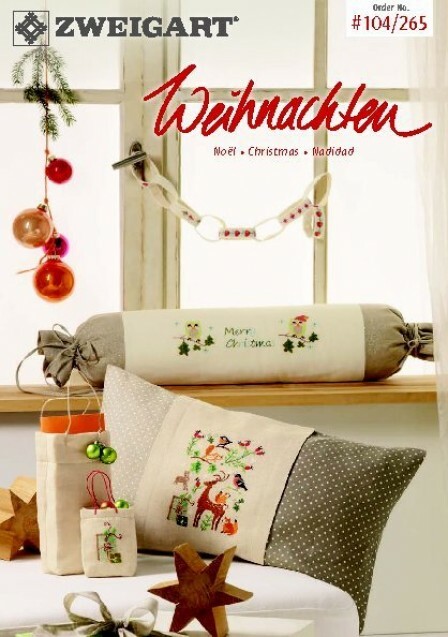 The third in Zweigart's Christmas Booklet series features a collection of designs for their new Bistro and Gardenie fabrics. 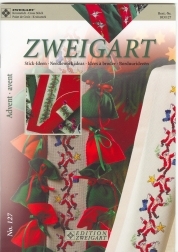 This booklet features a large variety of Holiday designs suitable for all Zweigart fabrics. 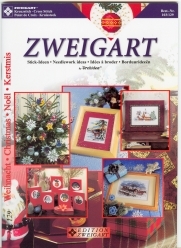 This booklet features a colorful collection of Holiday designs for any Zweigart fabric. 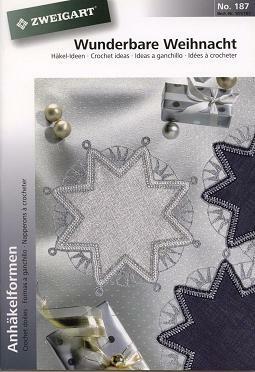 This booklet offers a variety of festive Christmas designs created especially for Zweigart's 20 Count Lugana fabric. 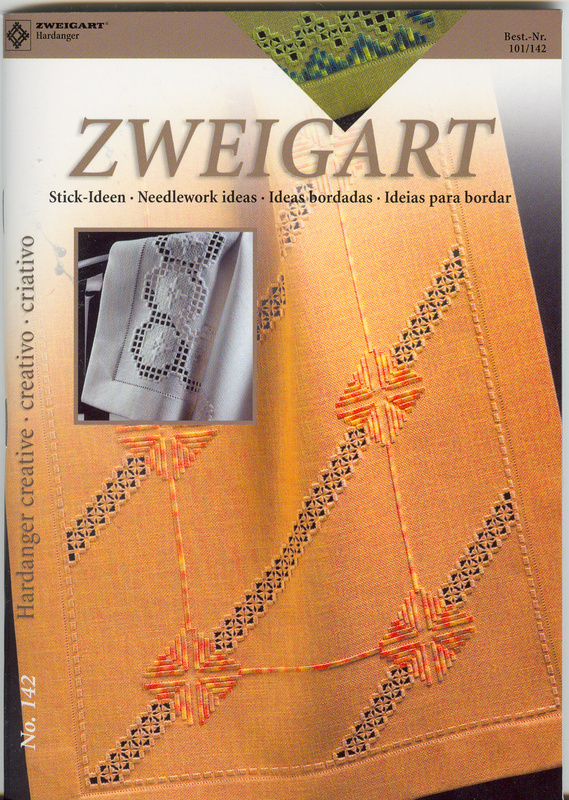 This booklet offers a variety of designs for Zweigart's new Linen Sitchbands. 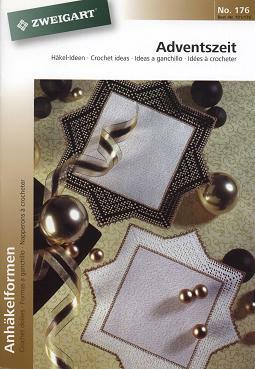 This booklet features an array of classic hardanger designs for Zweigart's Bellana table topper. 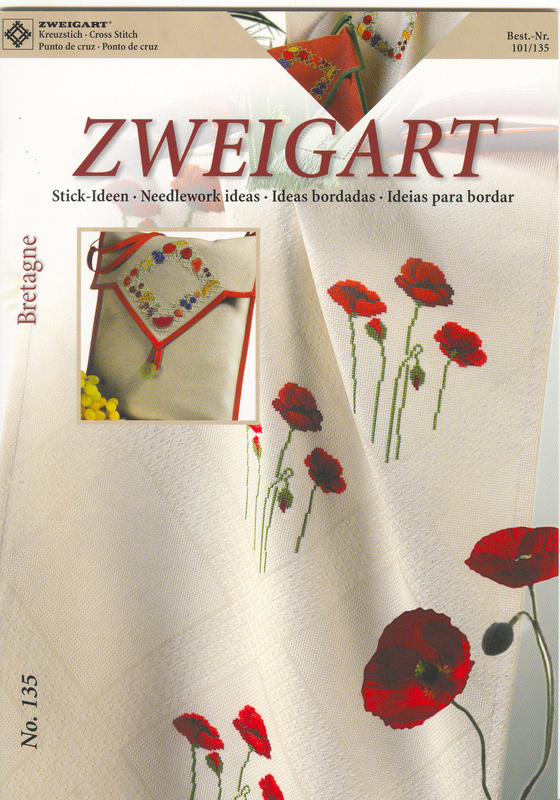 This booklet offers a variety of creative and inspiring designs for Zweigart's new Colmar Tri-color fabric. 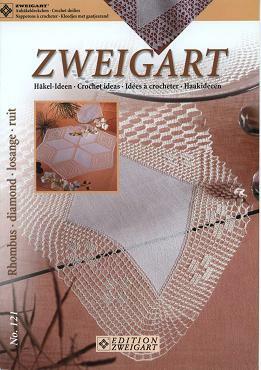 This booklet features designs for Zweigart's diamond crochetmate. 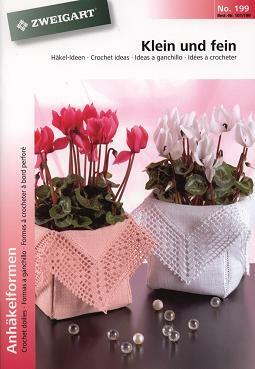 This booklet features designs for Zweigart's diamond cut crochetmate. 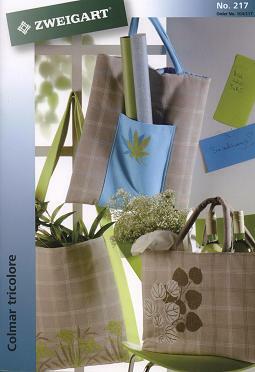 This booklet features an array of drawn thread designs for Zweigart's New Fine Ariosa fabric. 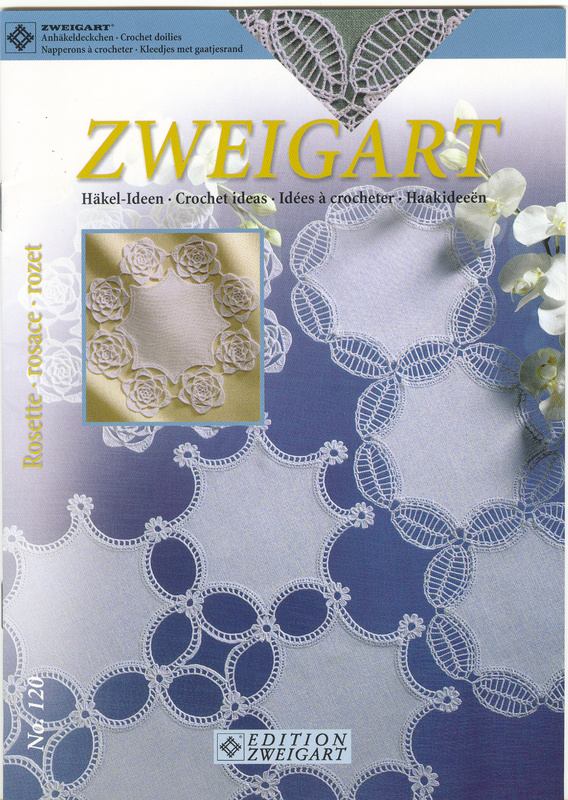 This booklet features drawn thread needlework designs for Zweigart's New Colmar fabric. 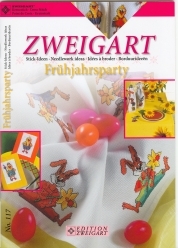 This booklet features a large variety of designs for Spring and Easter suitable for all Zweigart fabrics. 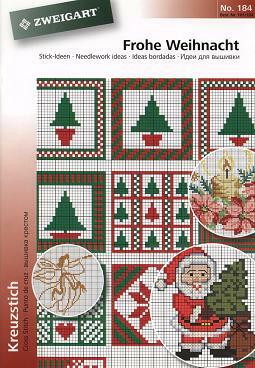 This booklet features designs for Zweigart's diamond cut, star, diamond, and Christmas stocking crochetmates. 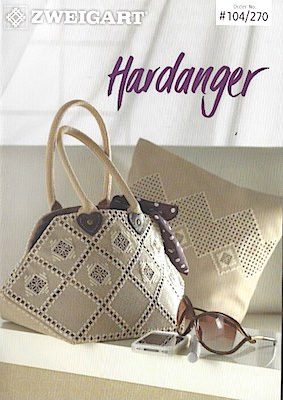 This booklet offers a variety of creative and inspiring hardanger designs featuring Zweigart's Lugana fabrics. 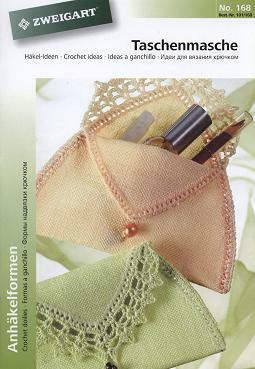 This booklet features designs for Zweigart's Facette crochetmate. 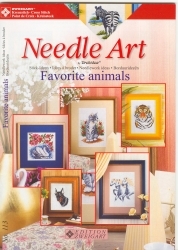 From horses to dogs, tigers to zebras . . if you are an animal lover this booklet is for you. 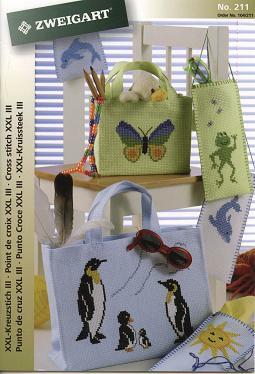 This booklet features an array of bird designs. 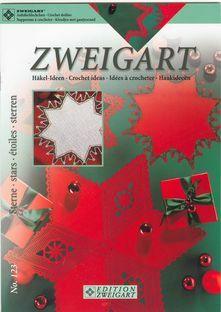 This booklet offers a variety of Christmas crochet ideas for Zweigart's Star, Diamond, and Stocking Crochetmates. 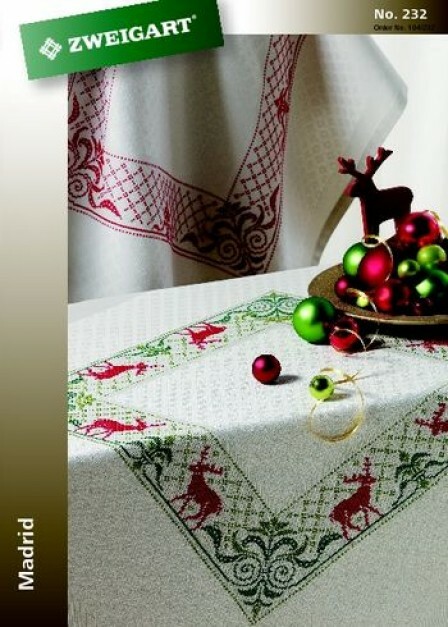 This booklet features an array of holiday designs for Zweigart's New Fine Ariosa fabric. 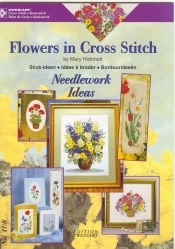 This booklet offers a unique way in which to stitch a floral alphabet. 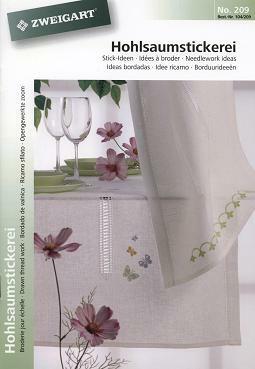 This booklet features an array of floral designs. 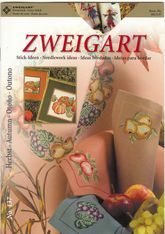 This booklet features a colorful collection of floral designs for a wide variety of Zweigart fabrics. 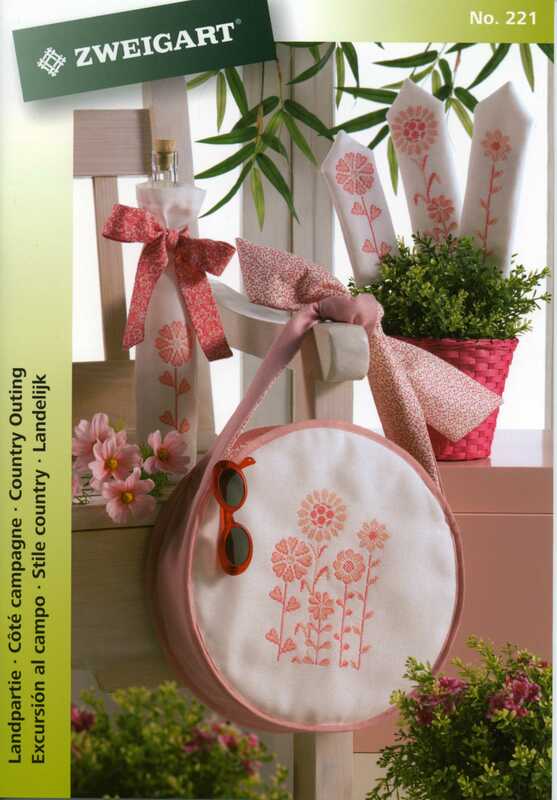 This booklet features an array of floral and garden designs for Zweigart's Jazlyn fabric. 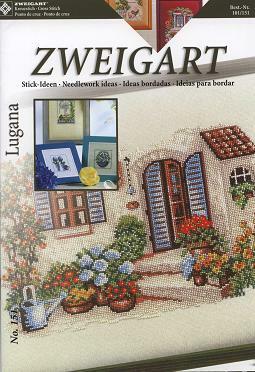 This booklet features an array of floral and garden designs for Zweigart's Lugana fabrics. 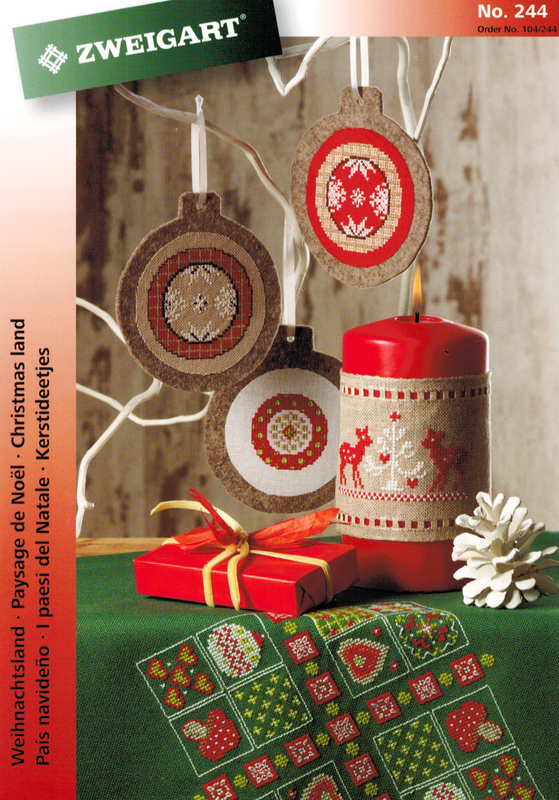 This booklet features an array of holiday hardanger designs for Zweigart's Lugana and Gardenie fabrics. 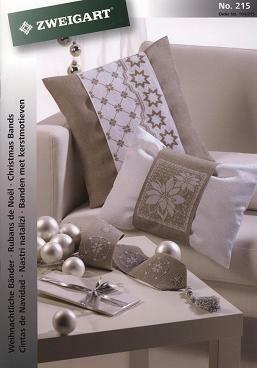 Featuring Zweigart's new Lina, Cara and Fine Ariosa fabrics with an array of hardanger designs sure to compliment your home decor. 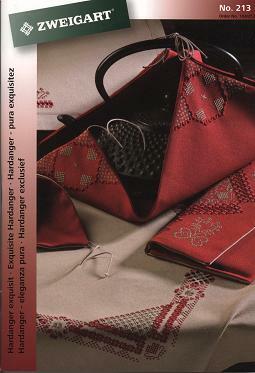 This booklet features elegant hardanger designs created especially for Zweigart's Lugana fabric. 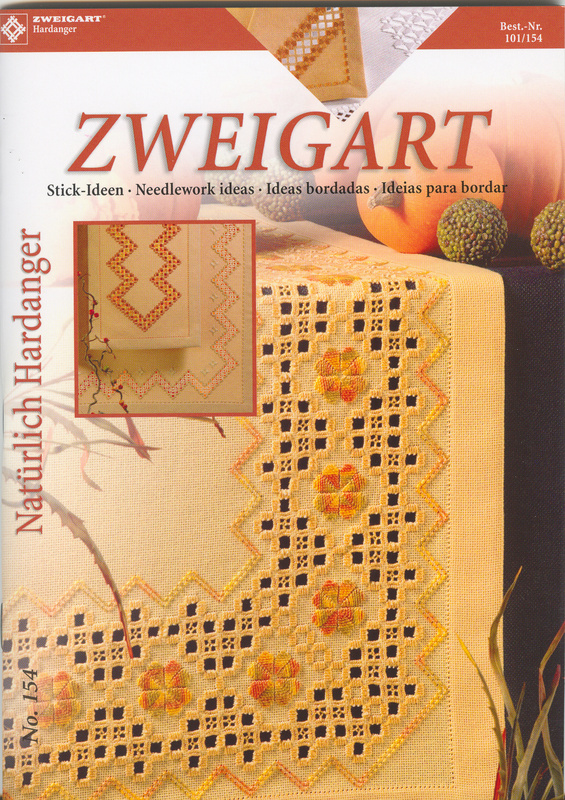 This booklet features an array of beautiful hardanger designs for Zweigart's Lugana fabrics. 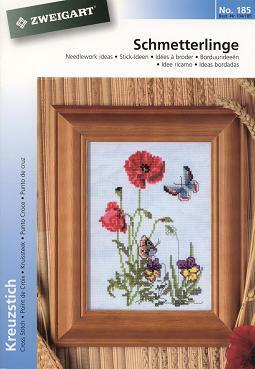 This booklet features a variety of creative cross stitch designs incorporating your favorite photos. 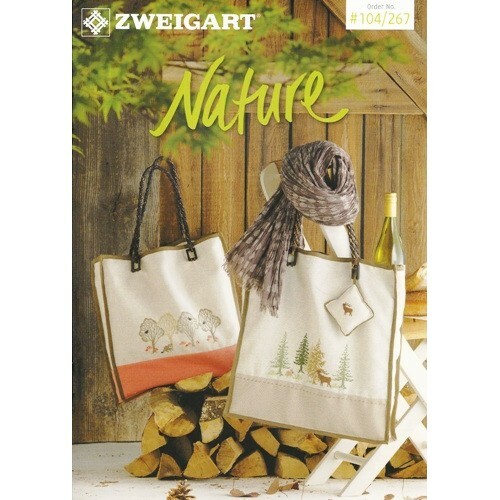 This booklet features a colorful collection of designs for Autumn suitable for any Zweigart fabric. 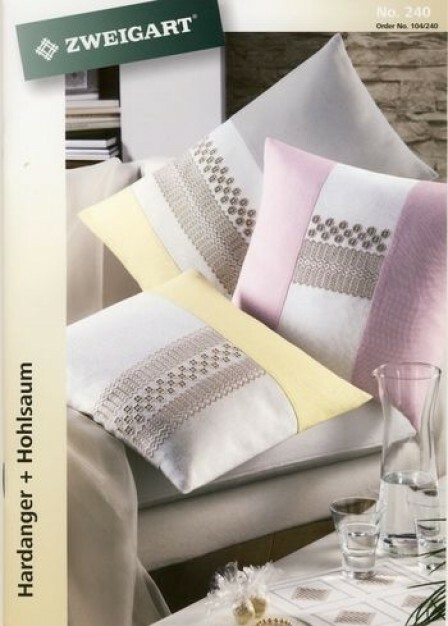 This booklet features a colorful collection of designs for the home featuring Zweigart's Lugana fabrics. 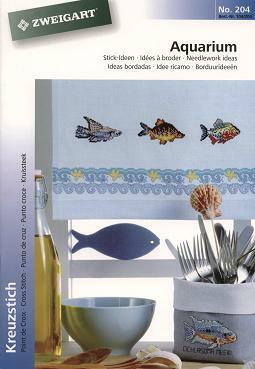 This booklet features an array of home decor designs created especially for Zweigart's New Kyoto and Tatami pre-made kitchen towels. 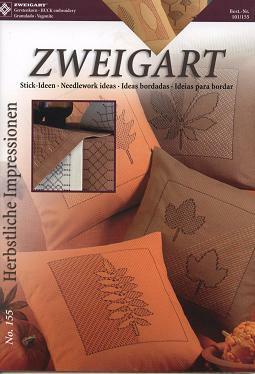 This booklet features a variety of designs for Zweigart's colored Interlock Canvas. 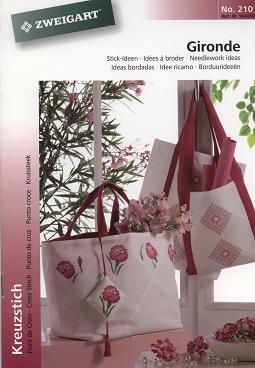 This booklet contains a wide variety of design ideas for Zweigart's Interlock Canvas in colors. 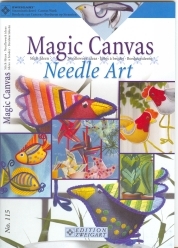 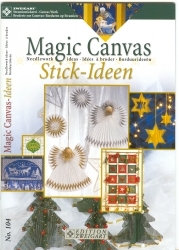 This second booklet in Zweigart's Magic Canvas collection contains an array of design ideas just for Christmas. 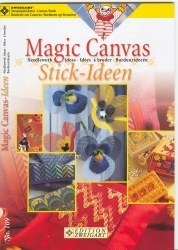 The third booklet in Zweigart's Magic Canvas collection contains a wonderful series of designs for Spring, Halloween, children, and so much more. 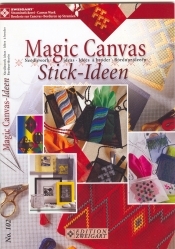 The fourth booklet in Zweigart's Magic Canvas series will once again have you amazed at the many design ideas for Zweigart's Interlock Canvas. 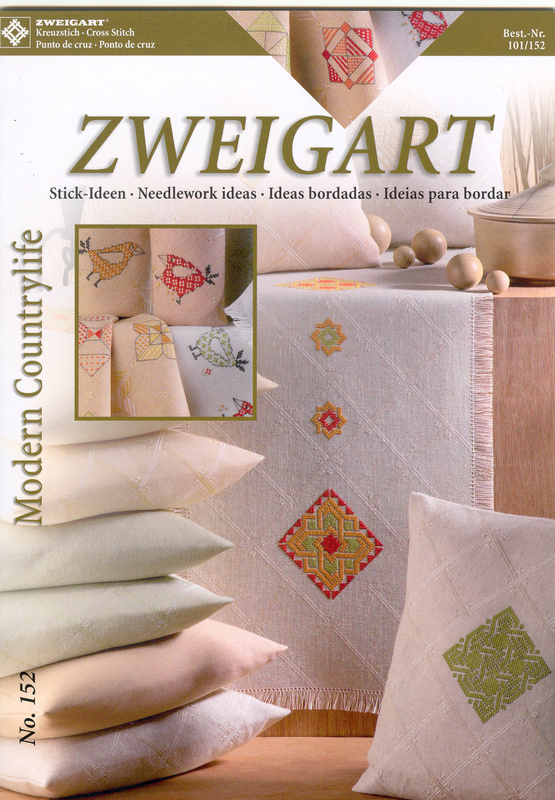 This booklet features a creative and colorful collection of patchwork idea designs for Zweigart's New Colmar fabric. 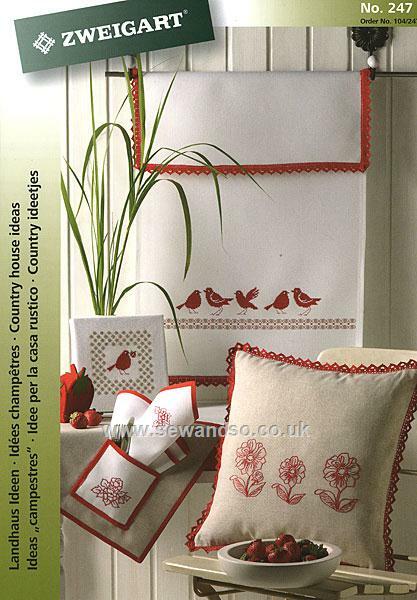 This booklet features an array of country themed designs using Zweigart's Pearl Linen fabrics. 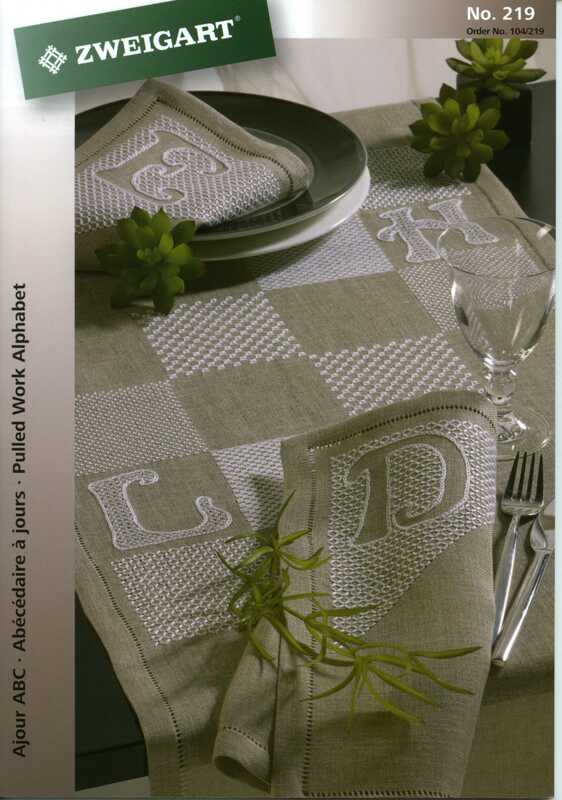 This booklet features an array of alphabet designs created especially for Zweigart's Lyon Linen. 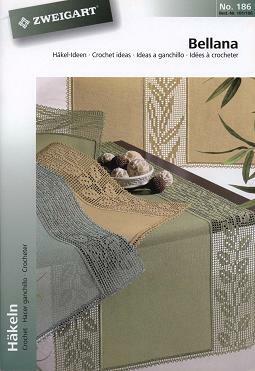 This booklet features a variety of autumn-like hardanger designs. 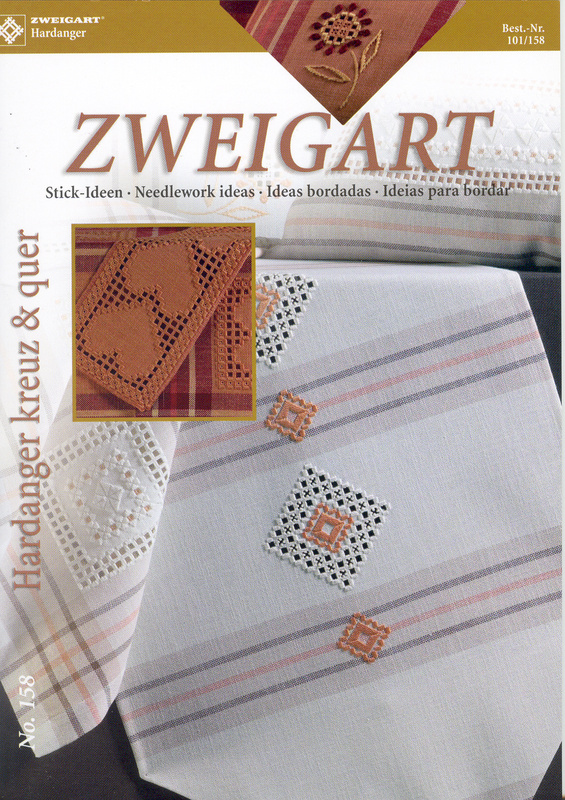 This booklet features designs for Zweigart's Newport Linen fabric. 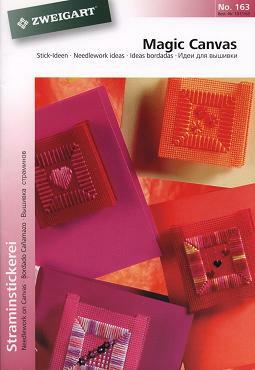 This booklet offers a variety of nature designs. 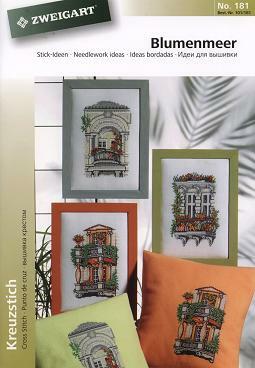 This booklet features an elegant and colorful collection of embroidery designs for Zweigart's New Normandie fabric. 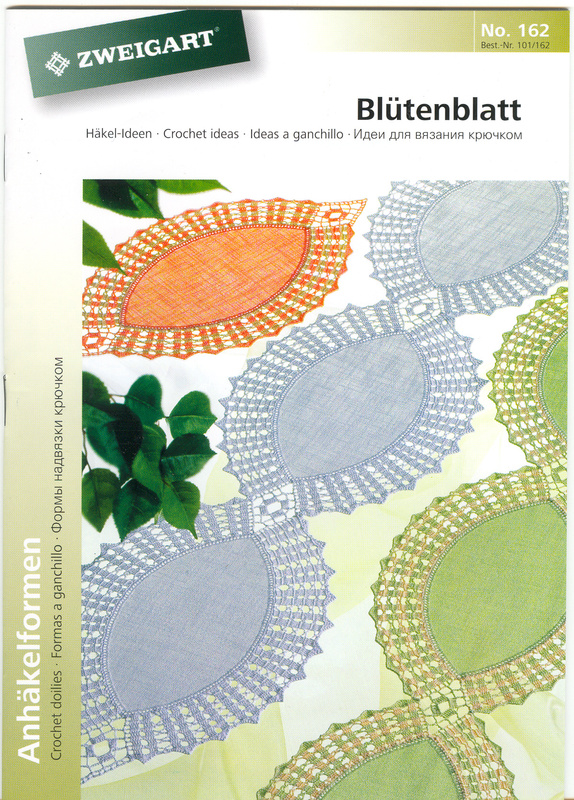 This booklet features designs for Zweigart's octagon crochetmate. 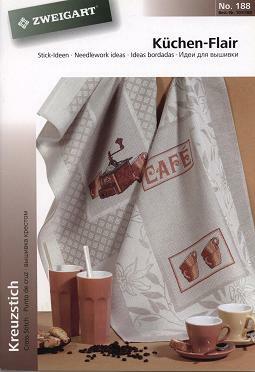 This booklet features designs for Zweigart's Diana-Pearl Linen fabric. 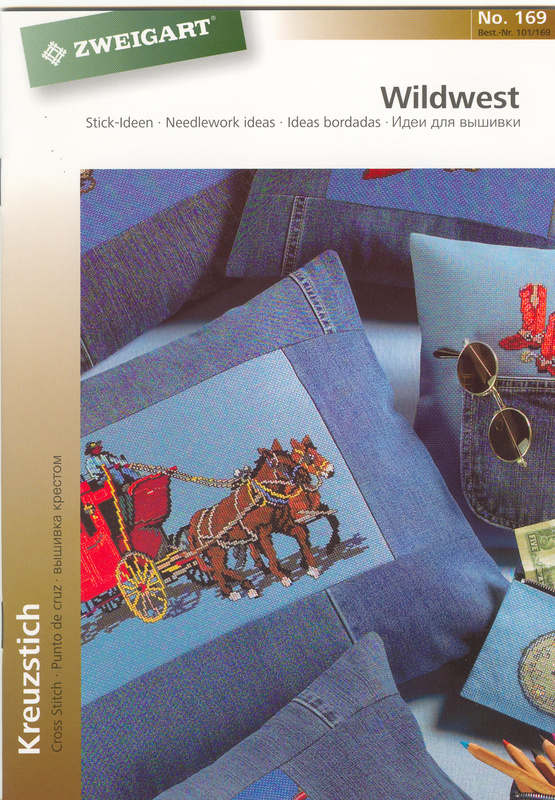 This booklet features an array of designs for Zweigart's Newport Linen and Cashel Linen. 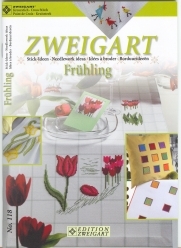 This booklet features a large assortment of floral designs suitable for any Zweigart fabric. 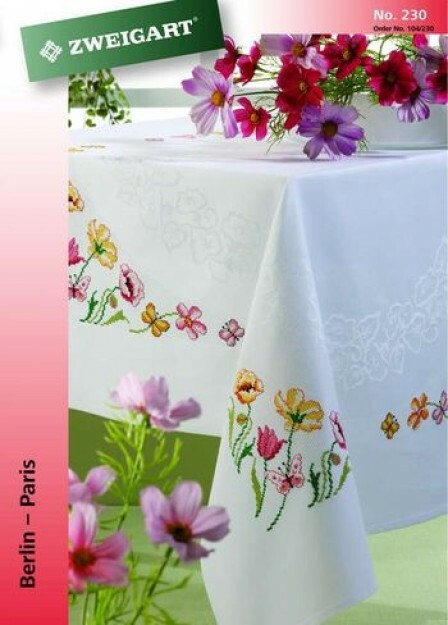 This booklet features an array of vibrant floral designs for Zweigart's New Colmar fabric. 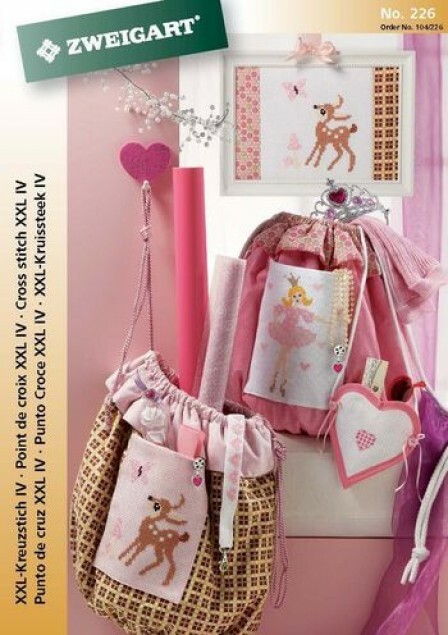 This booklet features a colorful collection of Zodiac themed designs suitable for all Zweigart's fabrics. 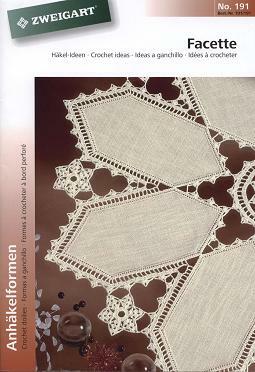 This booklet features designs for Zweigart's square, octagon, diamond cut, and facette crochetmates. 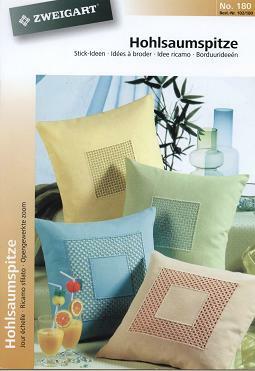 This booklet features designs for Zweigart's square crochetmate fabric. 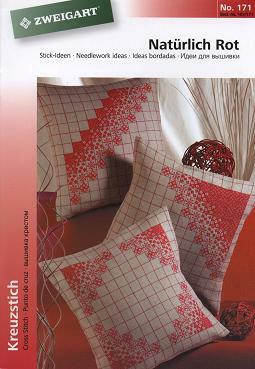 This booklet features designs for Zweigart's large and small star crochetmates. 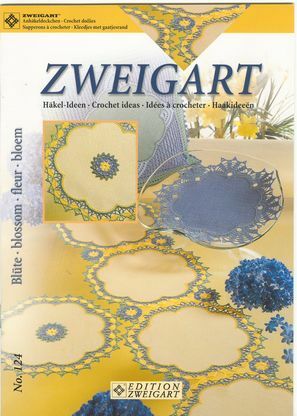 This booklet features an array of stylish ornament designs suitable for any Zweigart fabric. 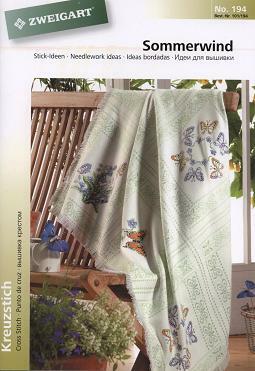 This booklet features a variety of floral, butterfly, and bird designs for Zweigart's Butterfly Afghan fabric. 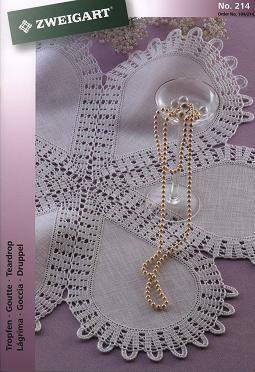 This booklet features designs for Zweigart's new teardrop crochetmate. 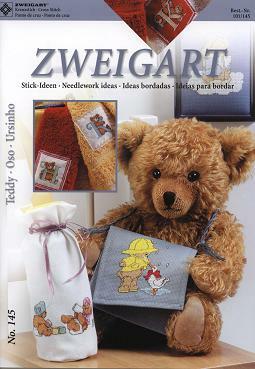 This booklet features an array of teddy bear designs for Zweigart's Jazlyn and Aida fabrics. 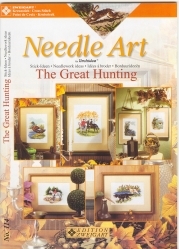 If you are a fan of outdoor themed designs, then this booklet will be the perfect edition to your needlework collection. 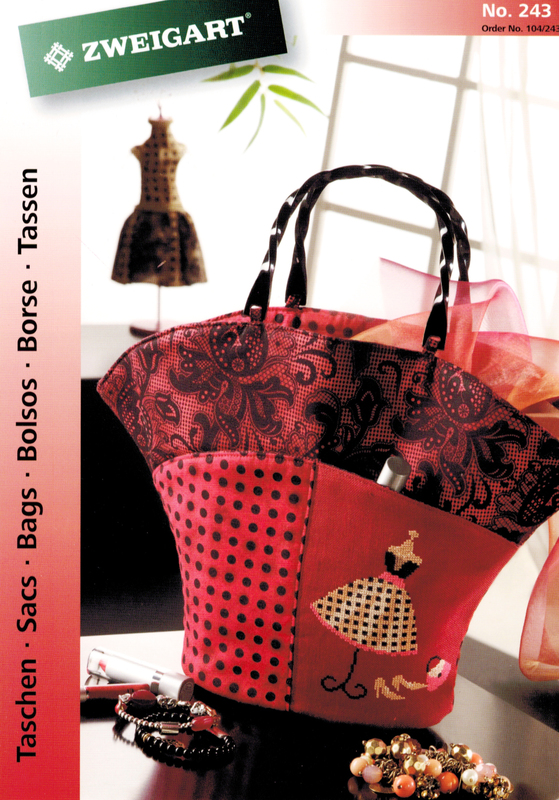 This booklet features an array of designs created especially for Zweigart's New Tokyo and Todai fabrics. 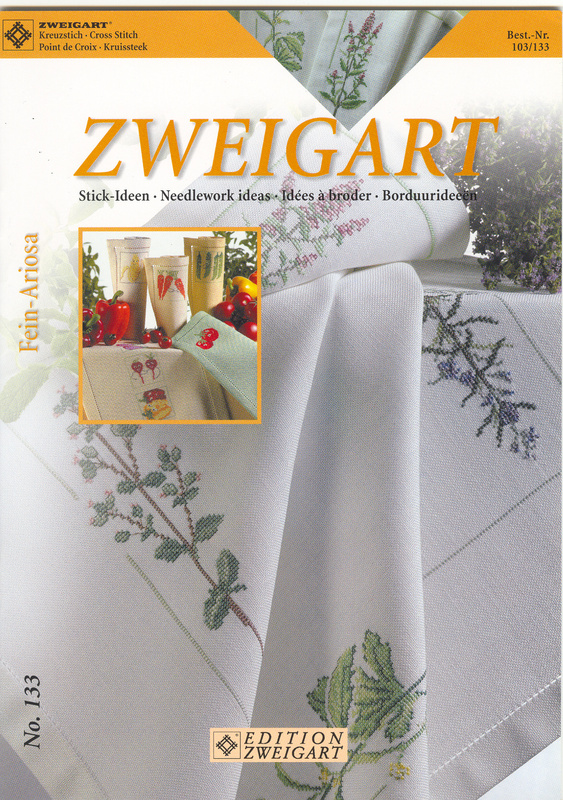 This booklet features an array of designs for Zweigart's Vintage Linen and Aida fabrics. 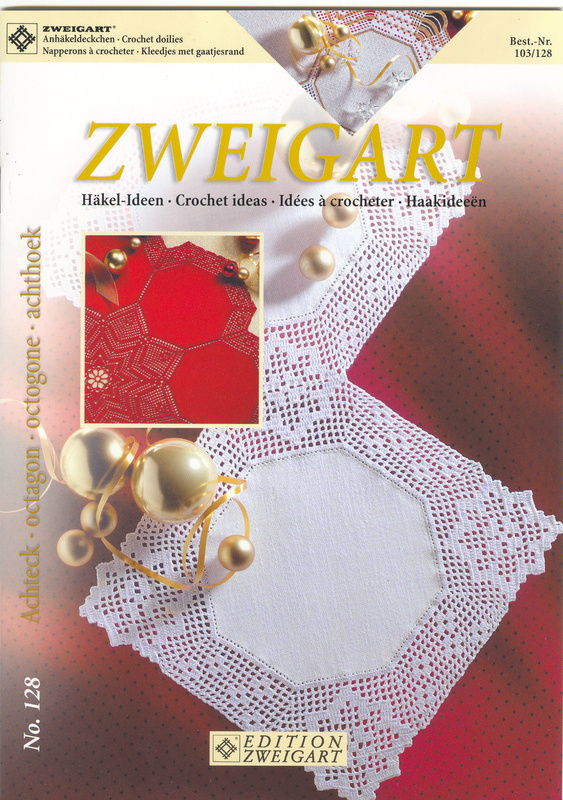 This booklet features an array of large cross stitch designs for Zweigart's 8 count Aida cloth. 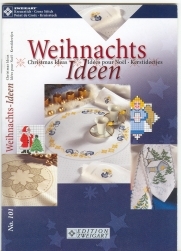 The fifth in Zweigart's Christmas booklet series offers an array of designs for stitchbands, Aida cloths, Lugana, and Zweigart's New Pearl Linen Aida. 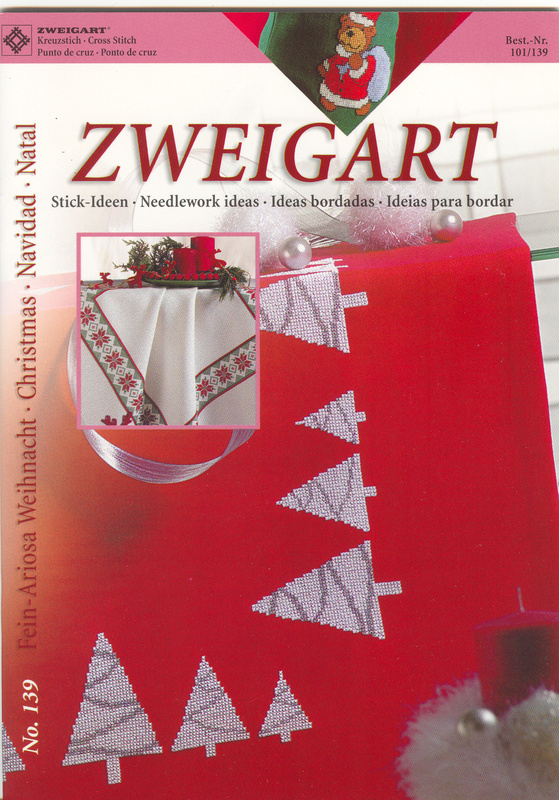 The sixth in Zweigart's Christmas booklet series offers an array of designs for Zweigart's Aida cloth collection. 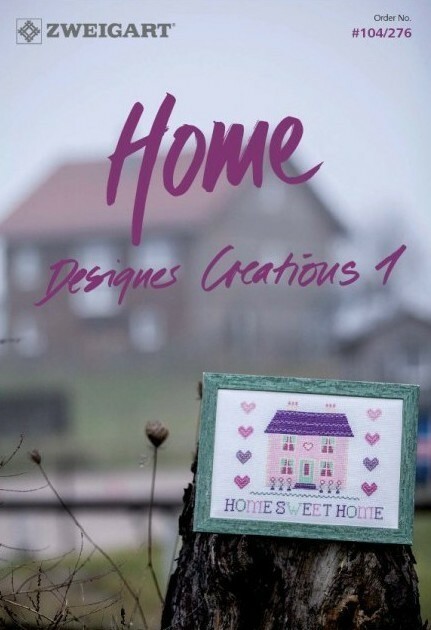 This booklet offers a variety of Home themed designs from many well-known international designers. 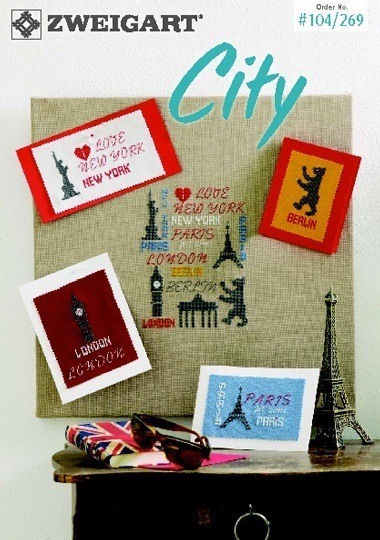 This booklet offers a variety of worldwide City designs. 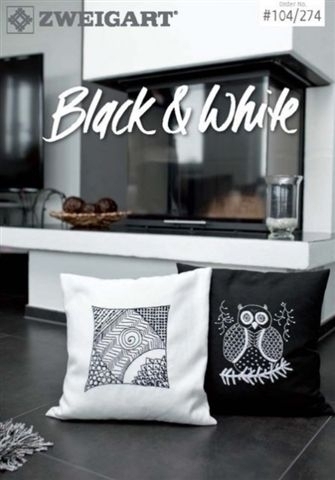 This booklet offers a variety of black and white designs.